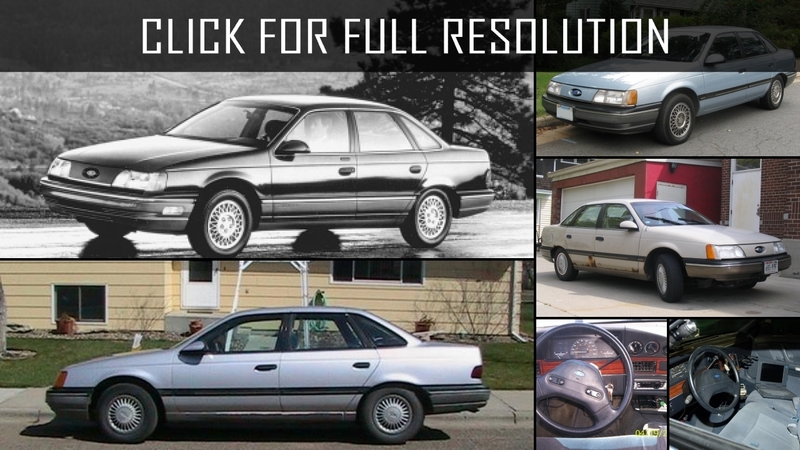 Ford Taurus was first debuted in 1986 as a mid-size sedan. 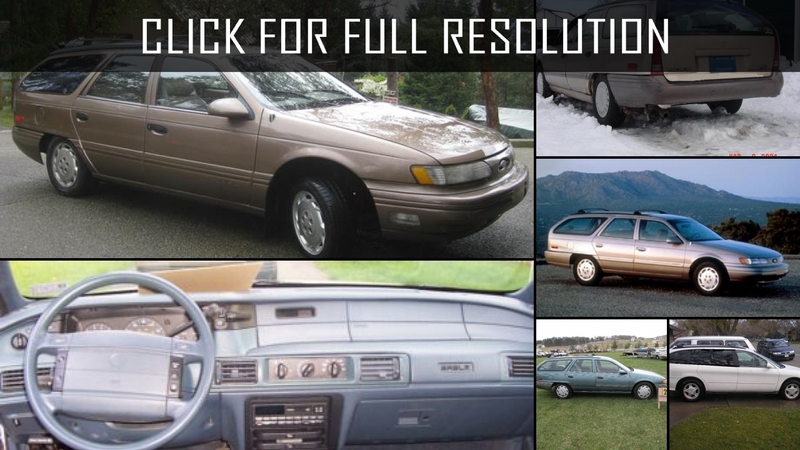 The model came to replace the obsolete Ford LTD model. 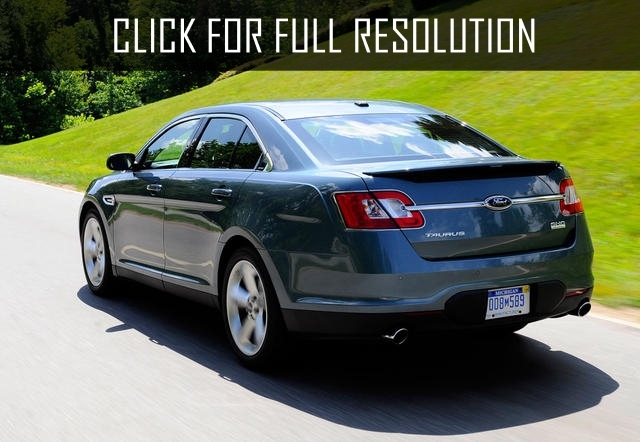 Before the release of Ford Taurus, engineers preferred rear-wheel drive, although it was later reconsidered to make the novelty front-wheel-drive. 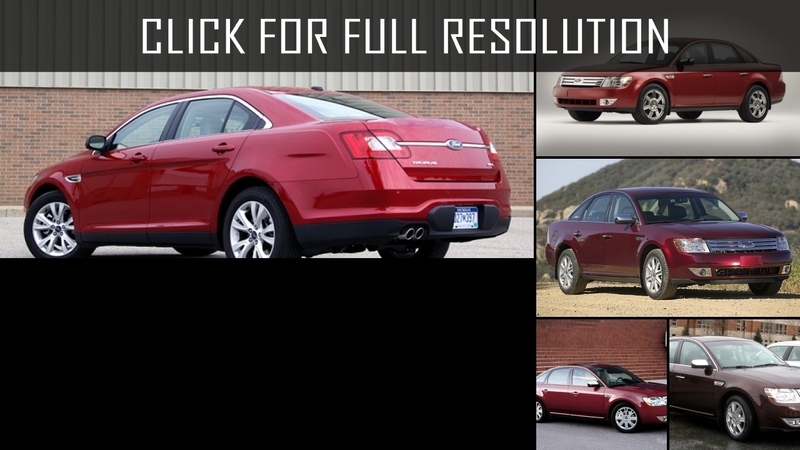 The design of the sedan was quite distinctive with a streamlined shape, which was immediately criticized. 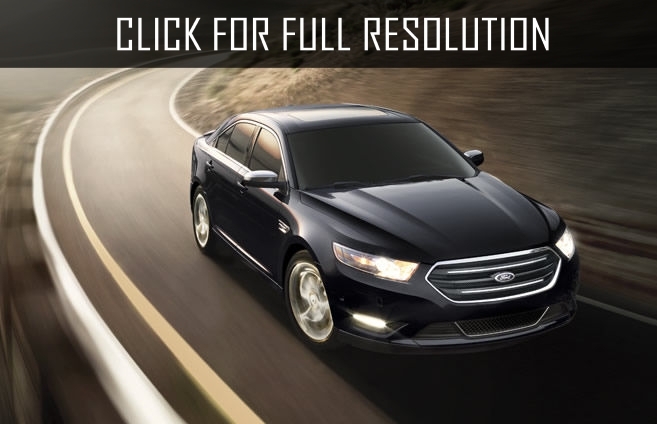 The model received a comic title of "flying potato" because of the streamlined body form. 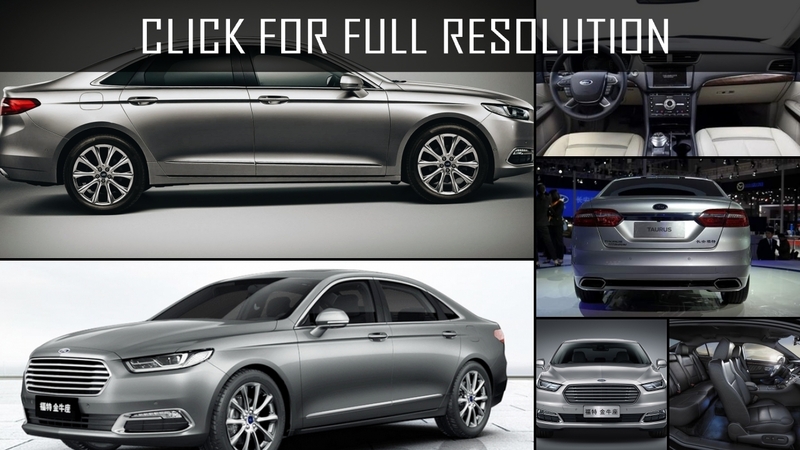 However, there are a number of advantages of this kind of design solutions including excellent aerodynamics which reduces fuel costs. 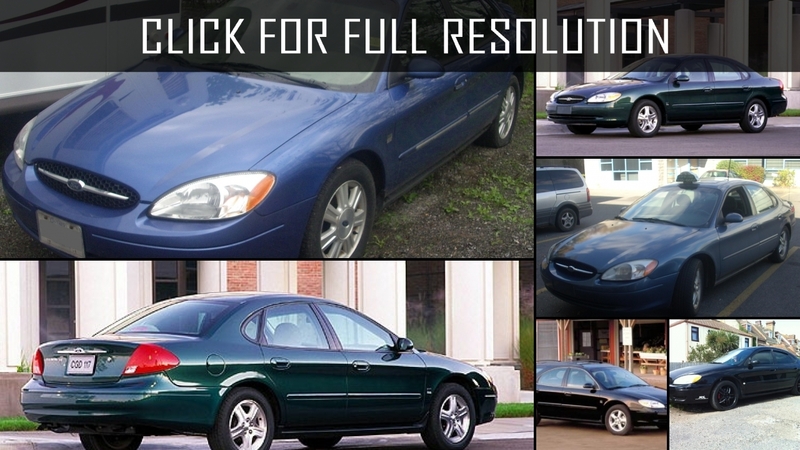 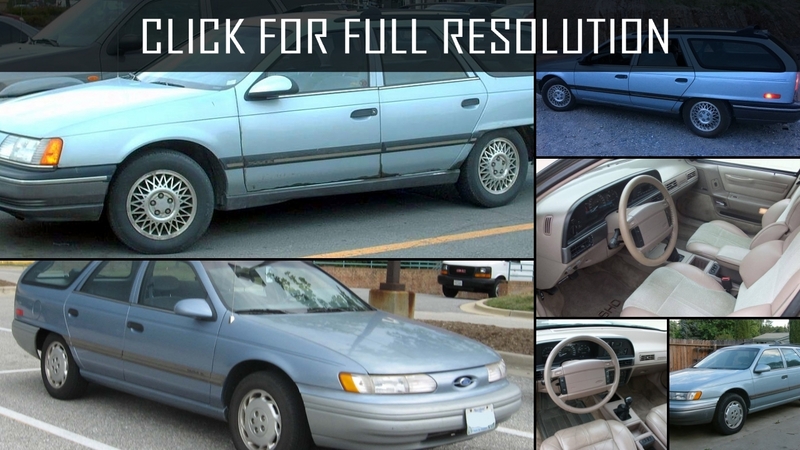 Ford Taurus become widely popular in its time. 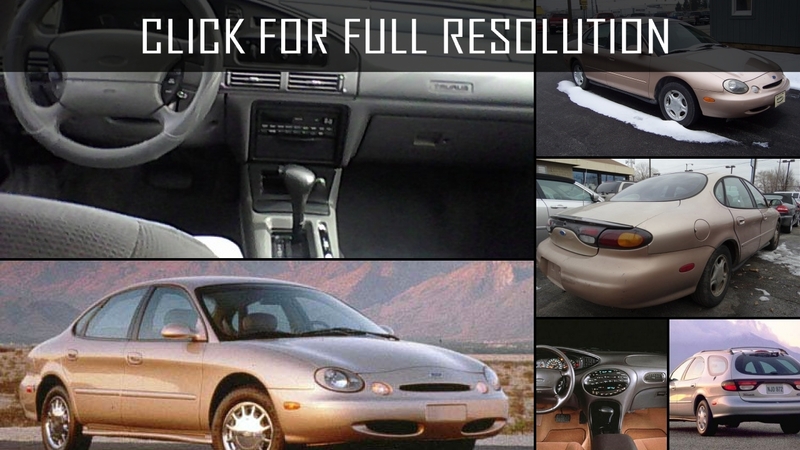 Large car producers like Chrysler and GM have attempted to establish an analog of Taurus with excellent aerodynamics to reach the popularity of Taurus I. 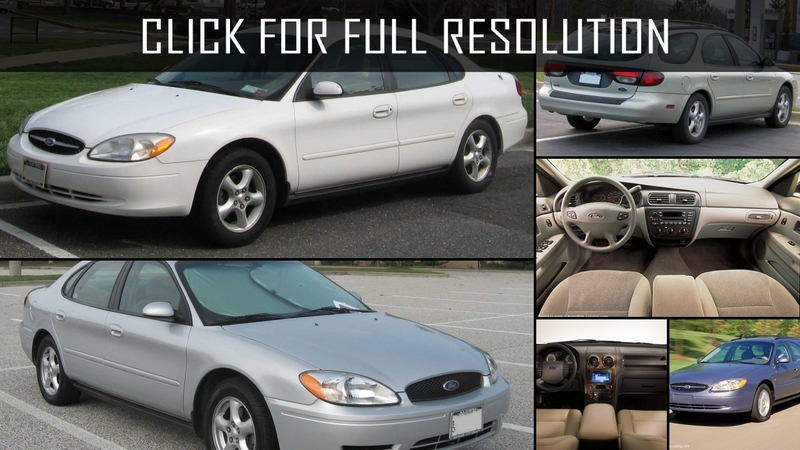 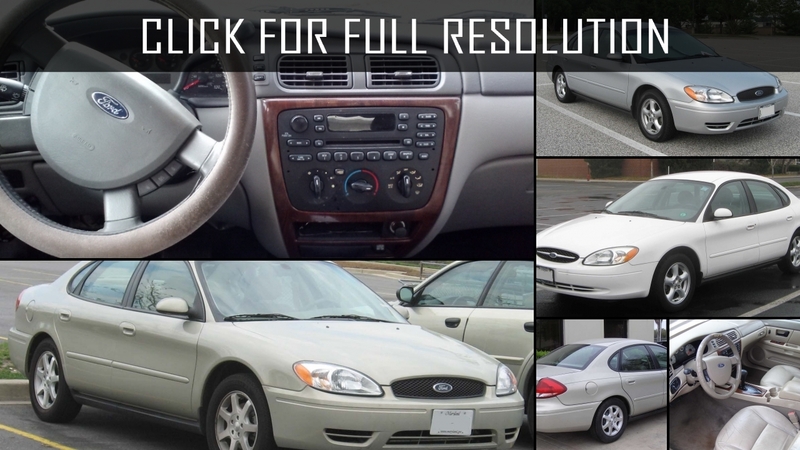 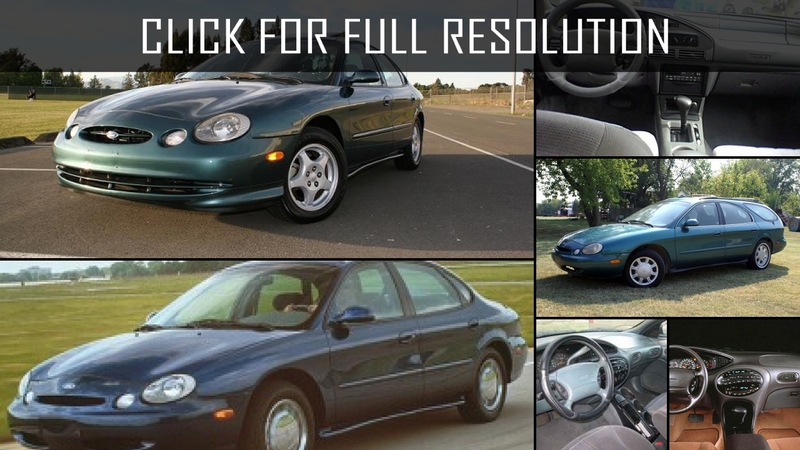 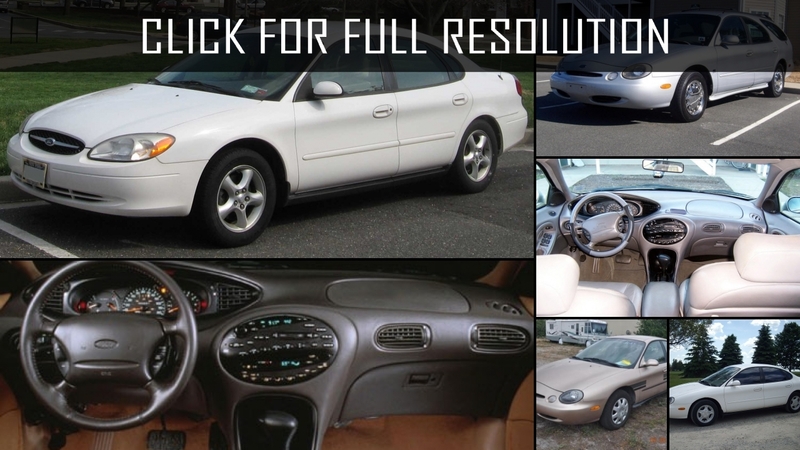 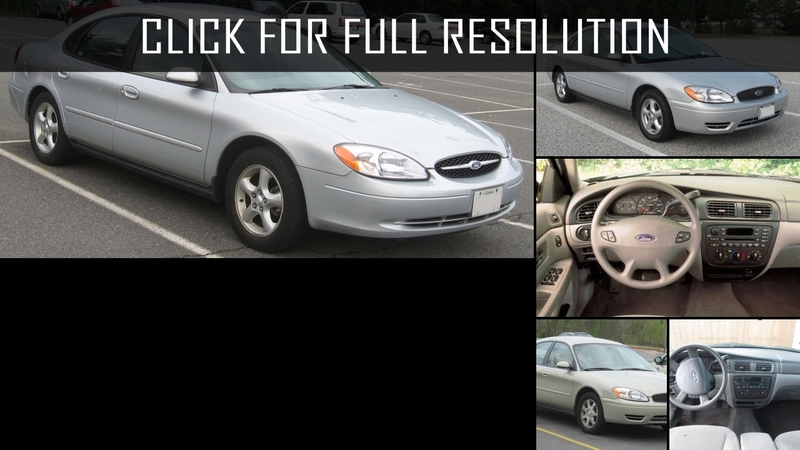 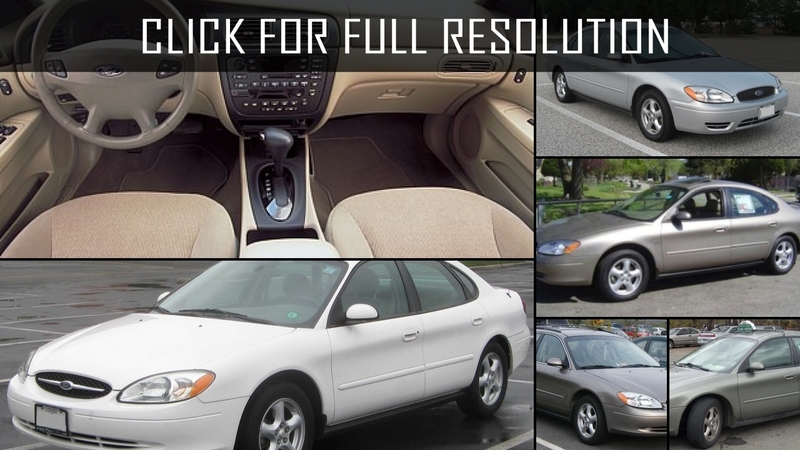 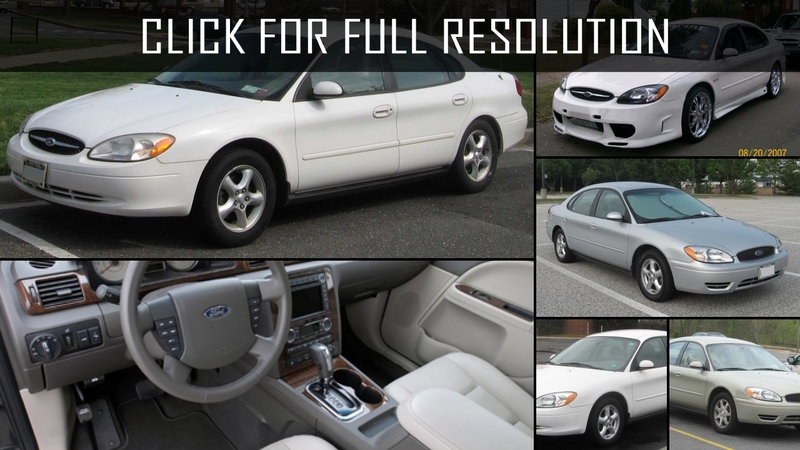 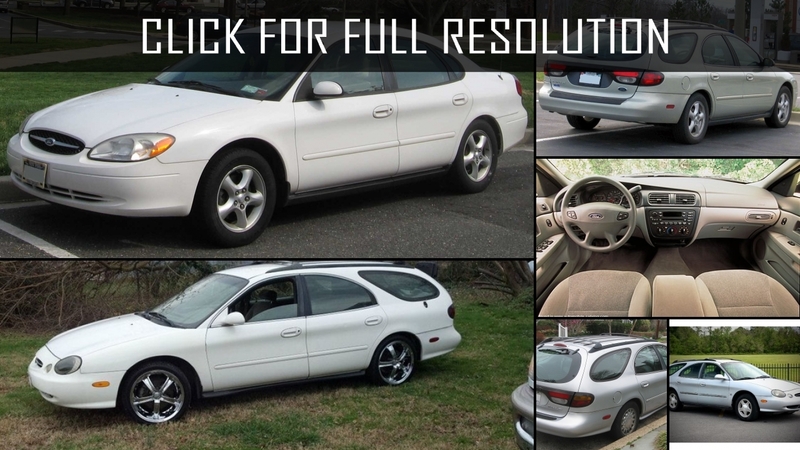 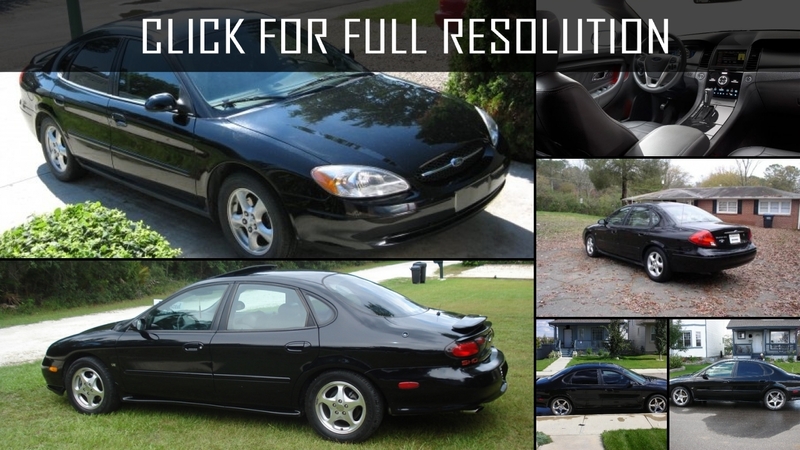 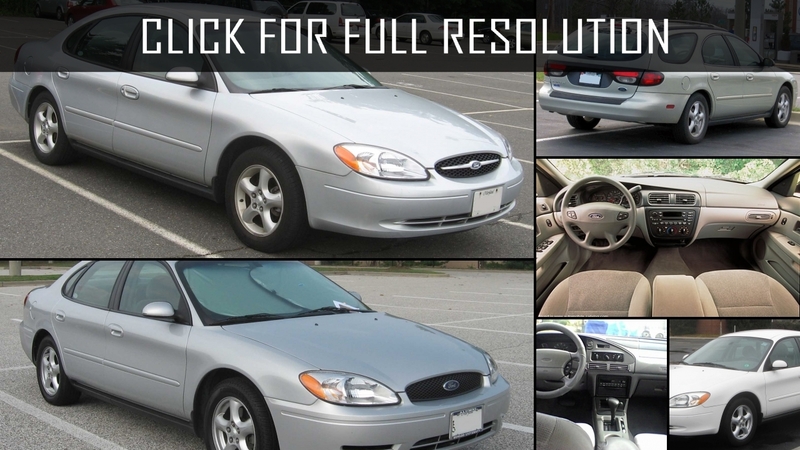 The internal furnishings of Ford Taurus were created as convenient as possible for the driver as well as passengers. 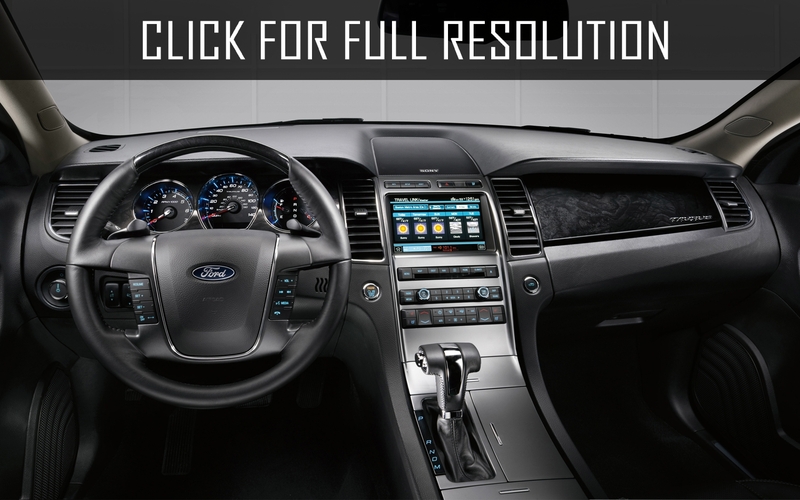 An ergonomic dashboard allows you to adjust various functions while driving without losing control. 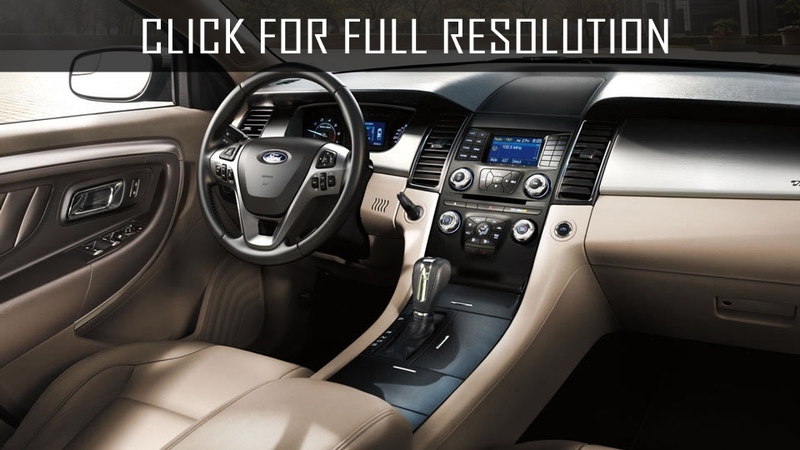 Overall, a high level of comfort of the saloon is achieved successfully. 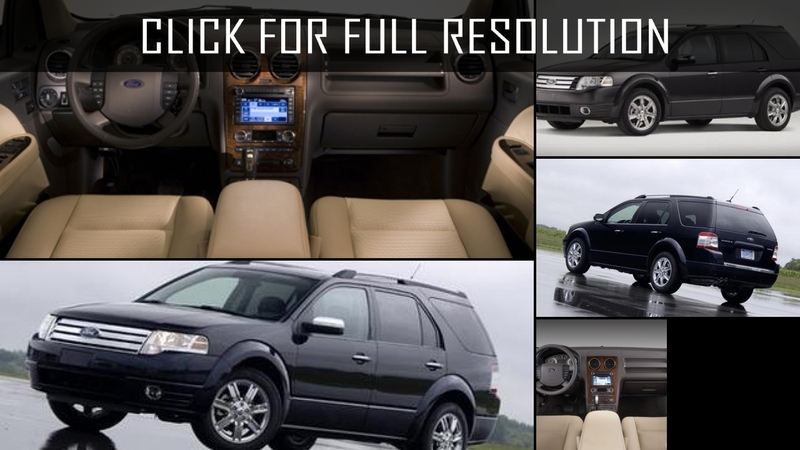 The range of engines is quite modest: 4-cylinder motor volume of 2.5 liters and V-shaped 6-cylinder 3.0 liters engine. 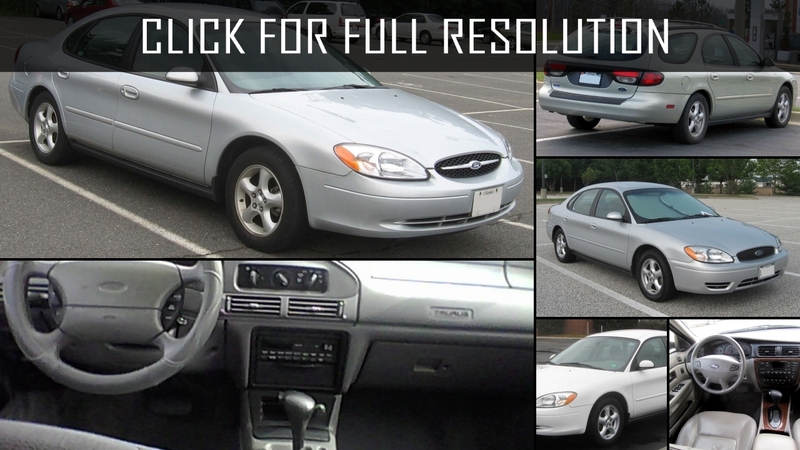 Transmission could be 5-speed manual or 3-speed automatic. 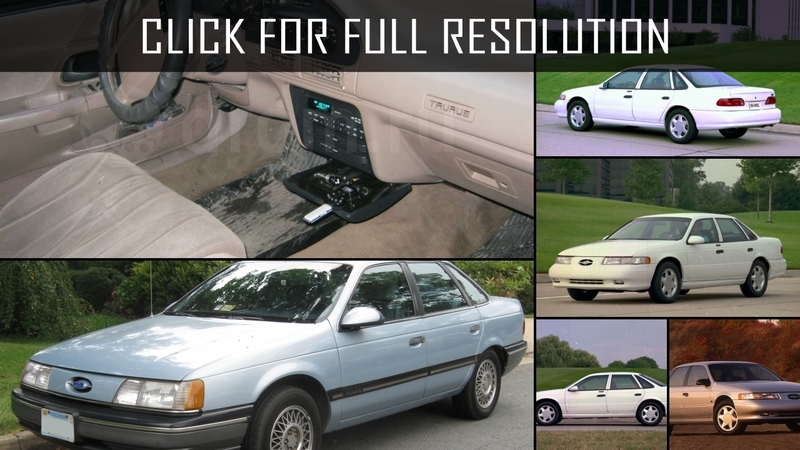 Nearly 2 million modifications of Ford Taurus were sold around the world till 1991 when the company discontinued supplying the first version of the model. 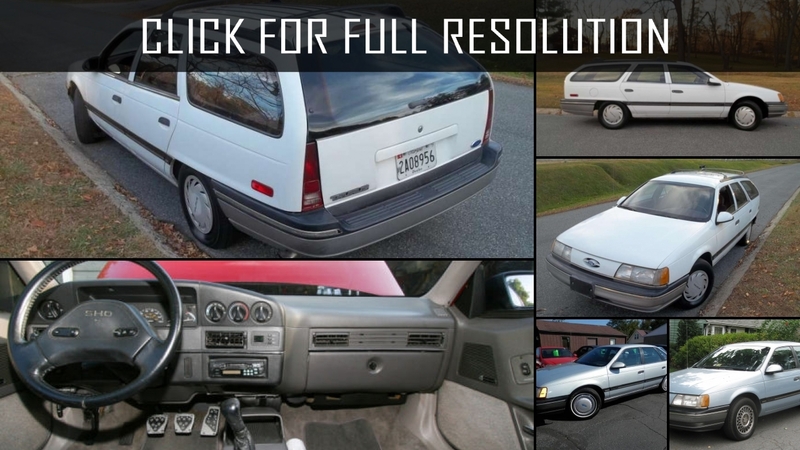 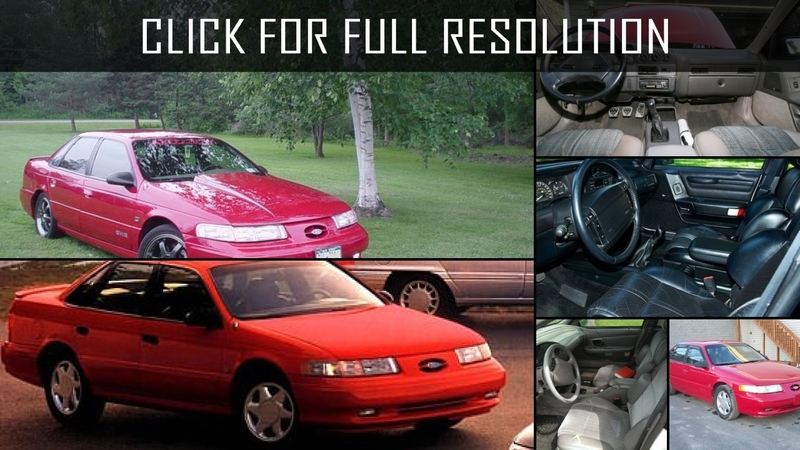 The American company presented the 2nd generation of Ford Taurus in 1992 as a medium size vehicle. 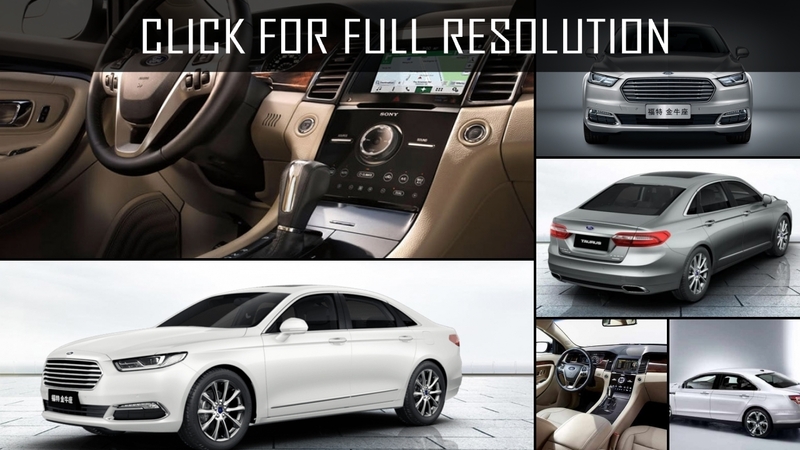 Exterior and interior innovations were widely applied for the novelty. 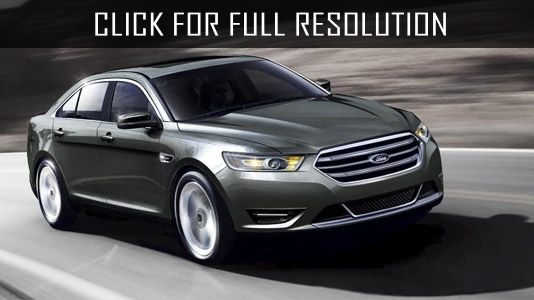 Minor enlargements have undergone to Ford Taurus dimensions: length became 4890 mm and width - 1809 mm. 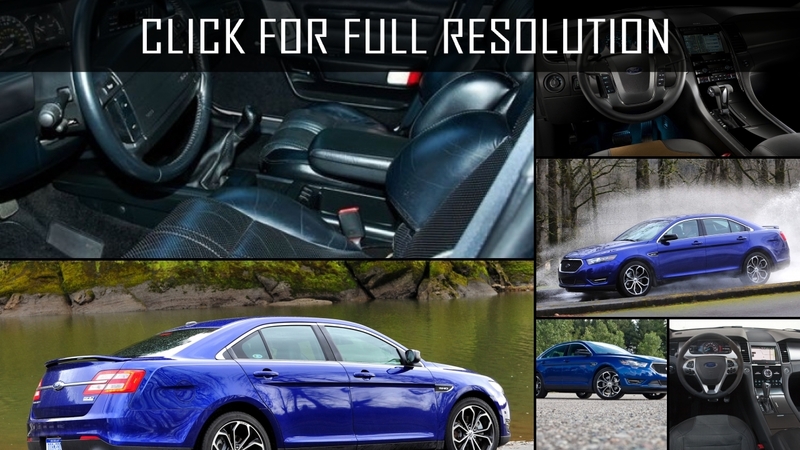 Previous power solution including manual gearbox and the four-cylinder engine was refused by the engineers. 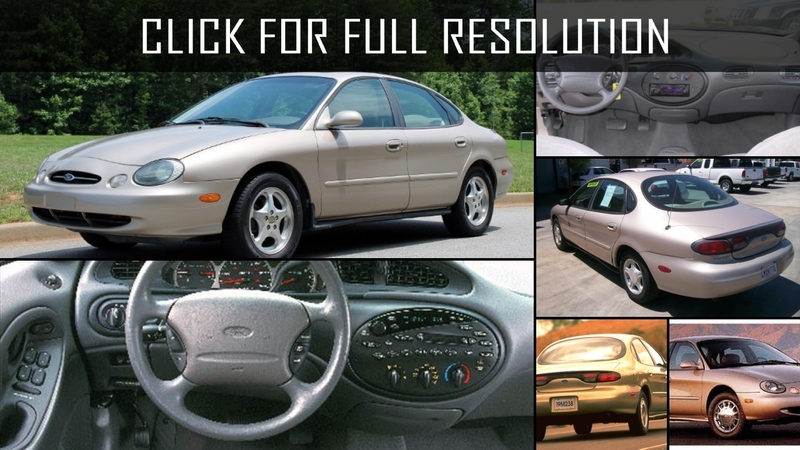 For the first time, Ford Taurus was equipped with a passenger airbag. 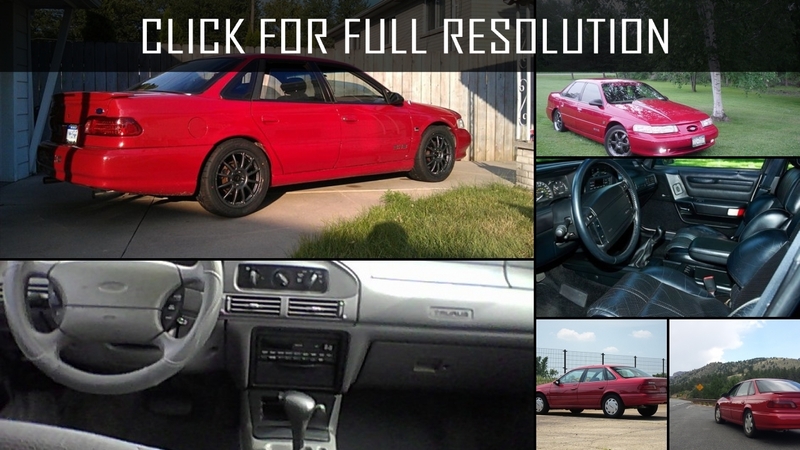 Only from 1994 onwards, this feature became available in the basic complete set. 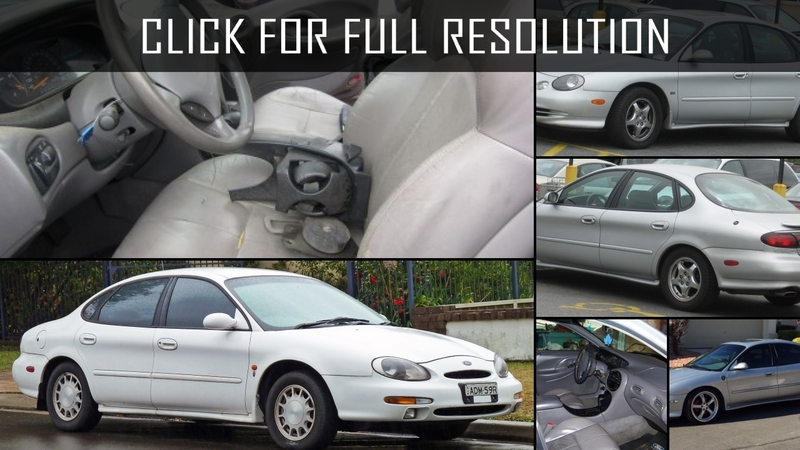 Ford Taurus II became the first car worldwide, which was equipped with airbags for passengers. 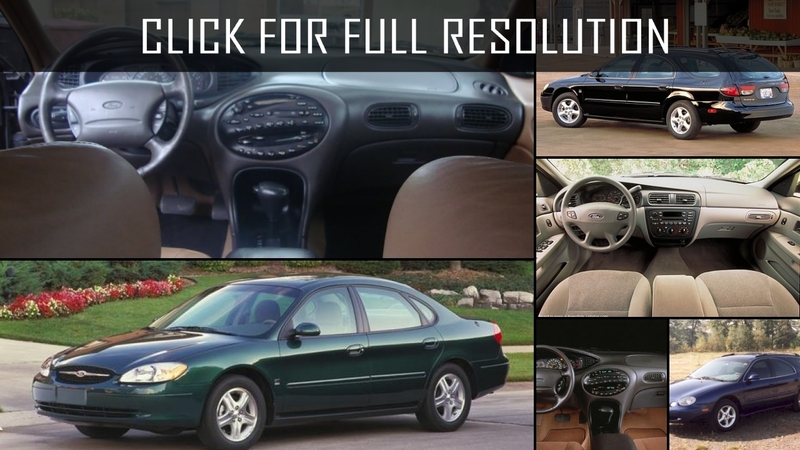 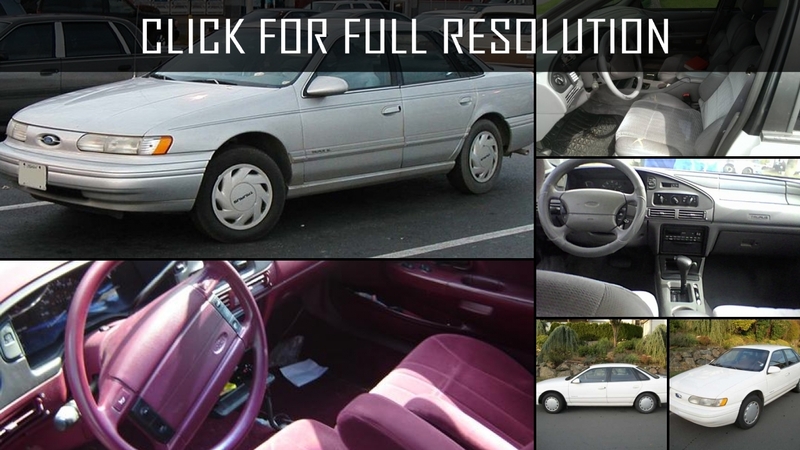 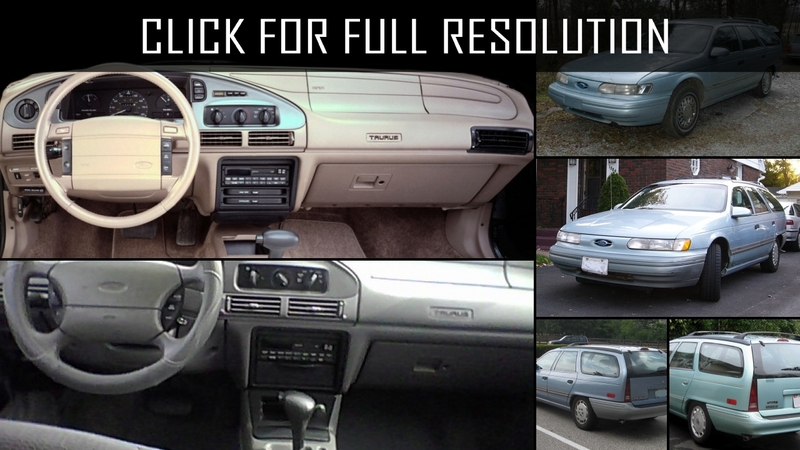 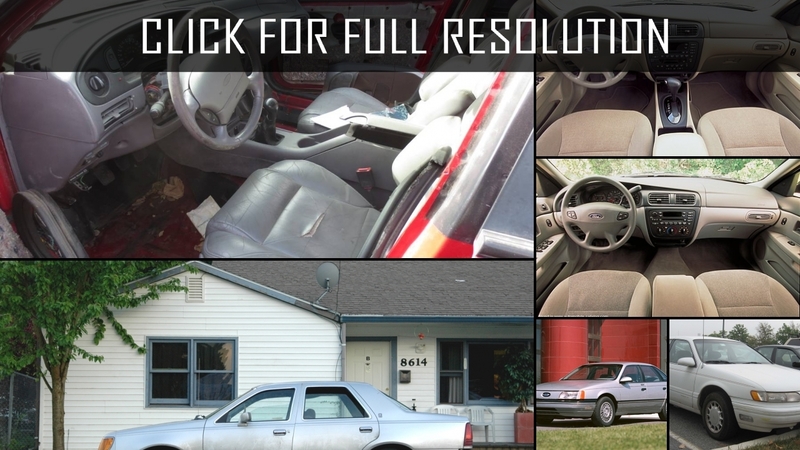 The cozy saloon of Ford Taurus II presented comfort and provided plenty of free space. 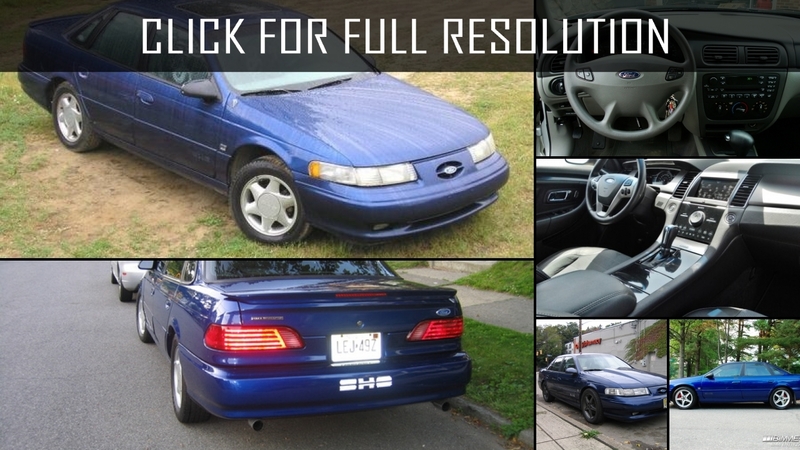 The debut of the third generation of Ford Taurus was held in 1996. 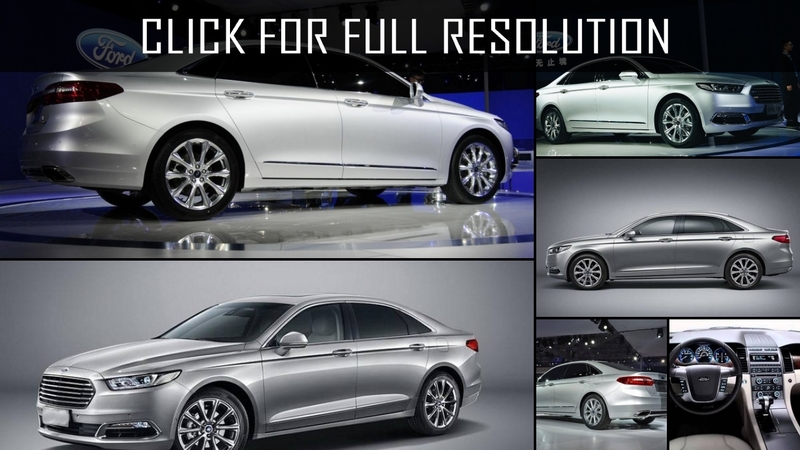 The design of the appearance turned out to be completely updated with a smooth and sloping line. 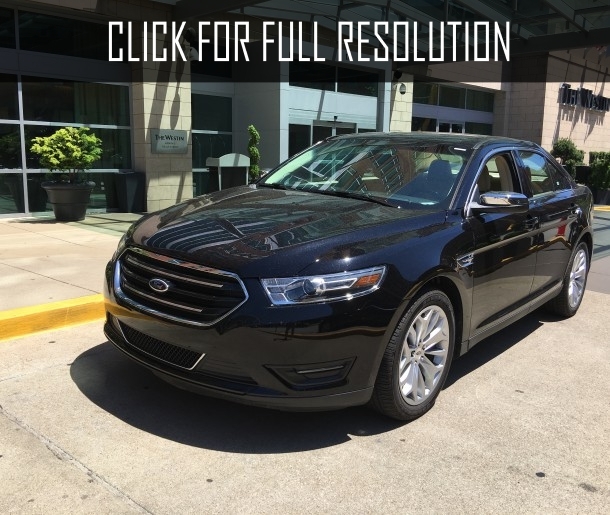 The front part of the car was completely refreshed with new radiator grille, optics with round forms, and stylish bumpers. 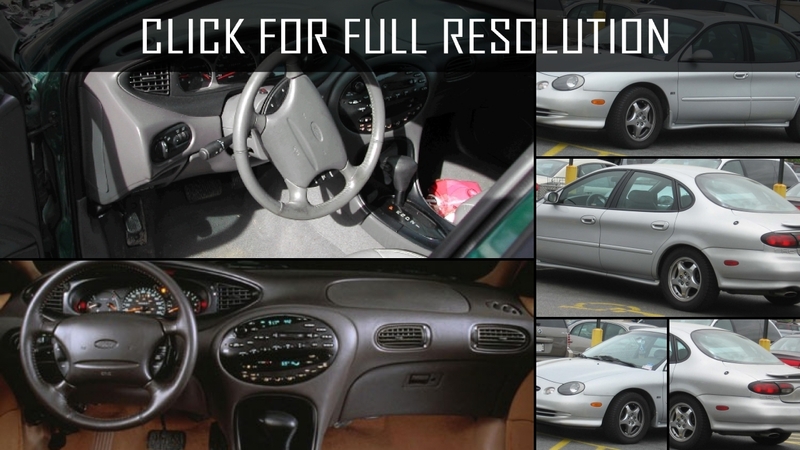 In addition, the interior design was also modernized by offering more rich options than its predecessors. 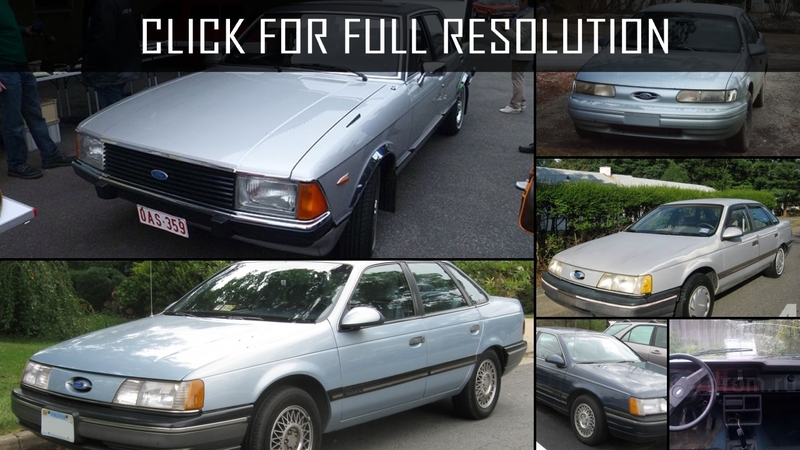 However, the sales of the model were declined slowly due to tough competition with Japanese cars that had a lot of advantages. 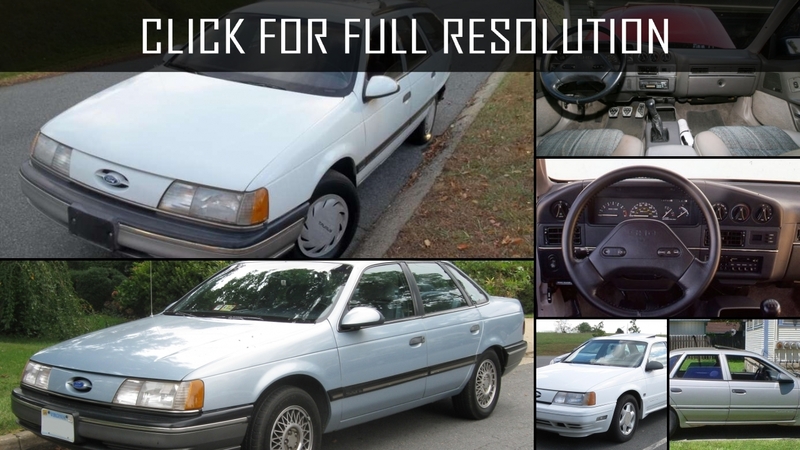 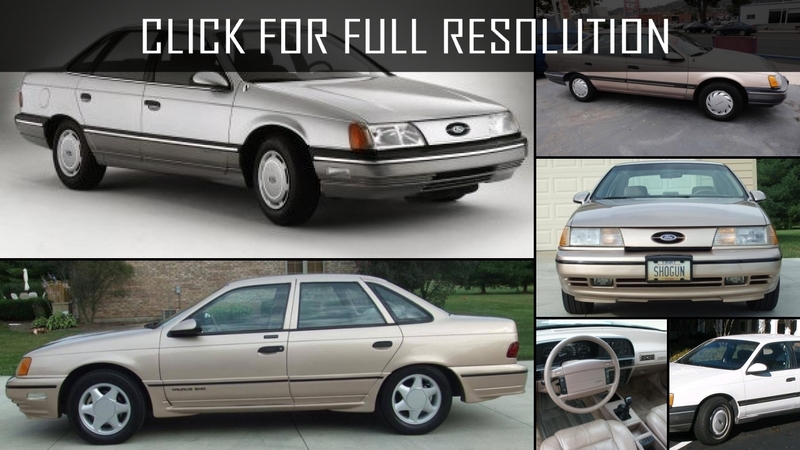 For example, Toyota Camry put an end on the popularity of Ford Taurus III. 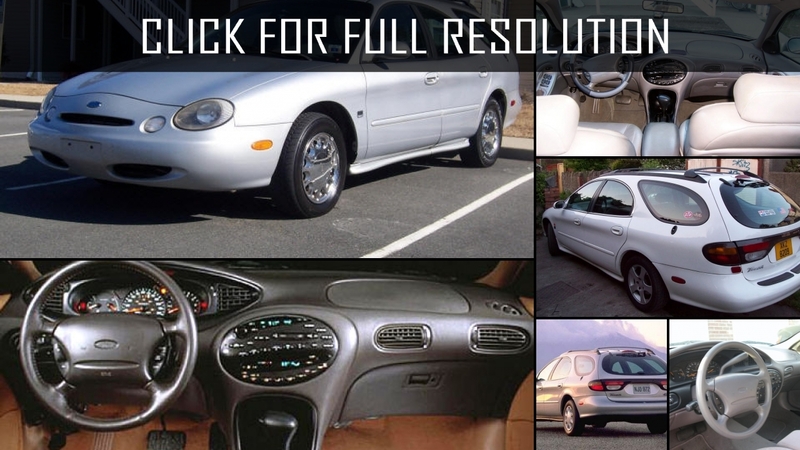 The version of Ford Taurus was powered by V-shaped, 6-cylinder engine until 2000 when the company stopped the production due to a slump in sales. 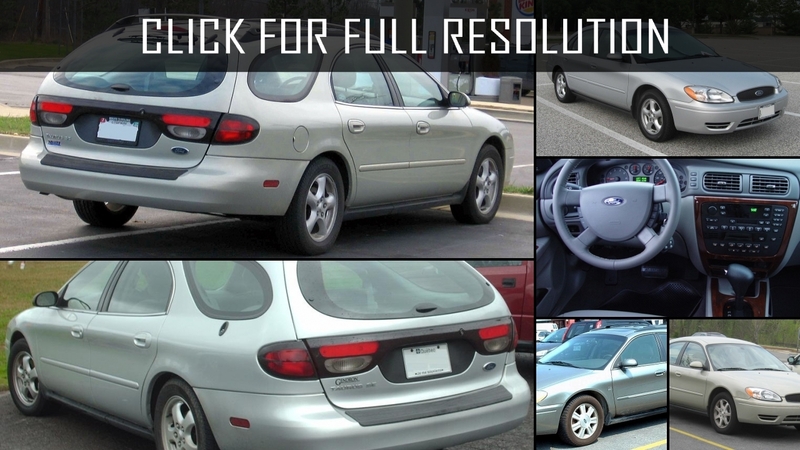 Ford Motor Company forced to introduce the next innovative generation of Ford Taurus in 2000. 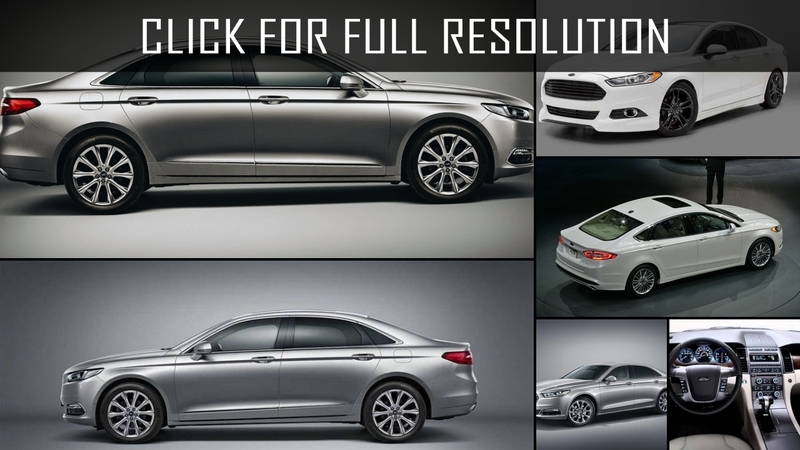 The new car was designed with strict forms of a body with updated shape of the headlamps and bumpers. 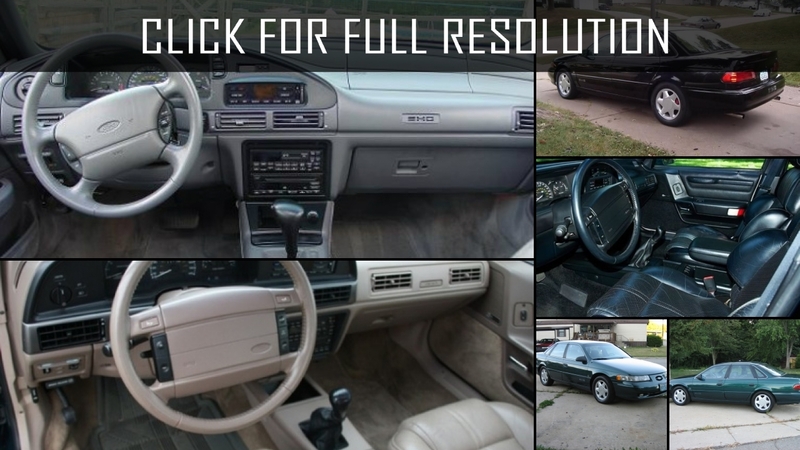 The restyling affected to the saloon decoration, as well, as the interior cockpit became more severe and elegant. 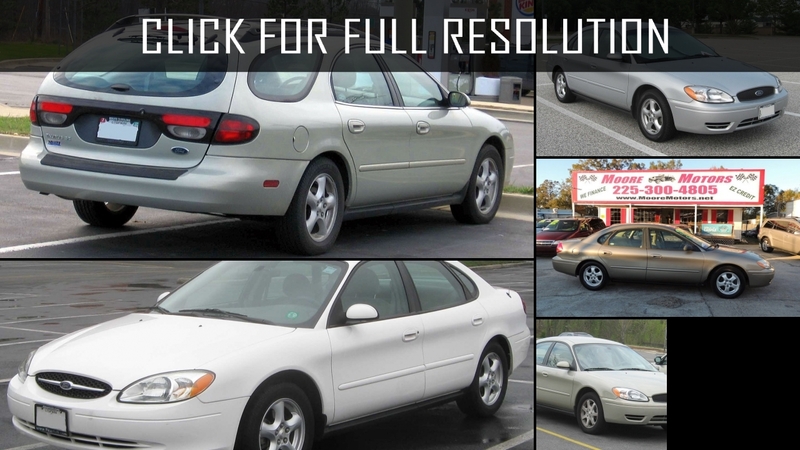 Thanks to all these external improvements, the company wanted to emphasize a certain conservatism of the car. 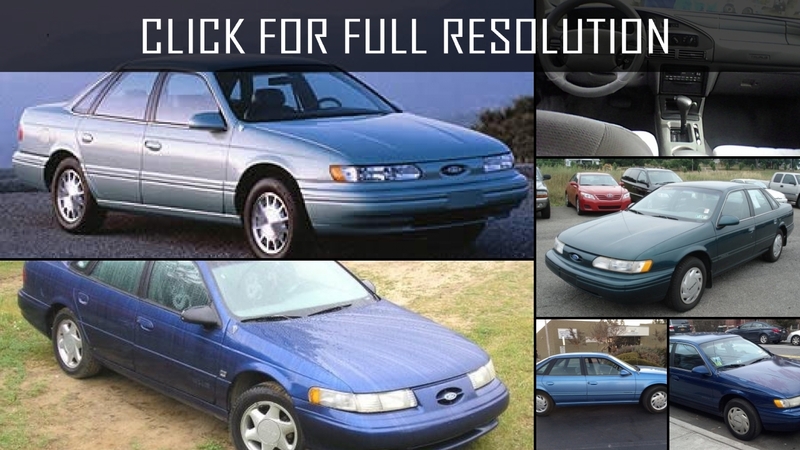 Americans hoped that Ford Taurus IV will gain previous popularity, but unfortunately, they failed to achieve a serious success. 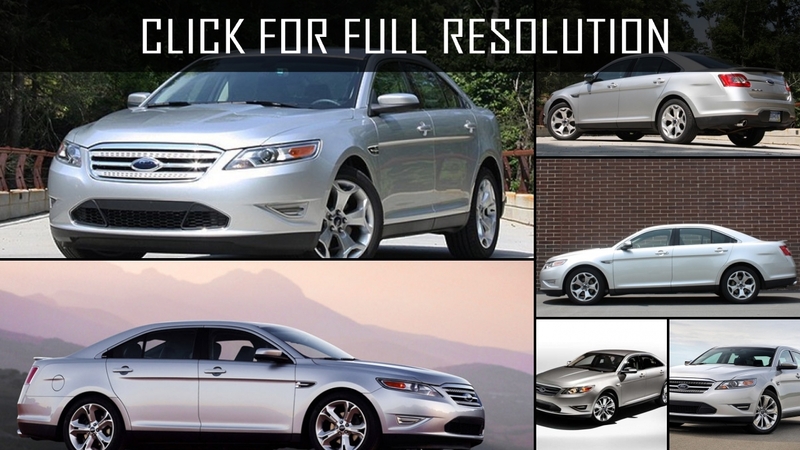 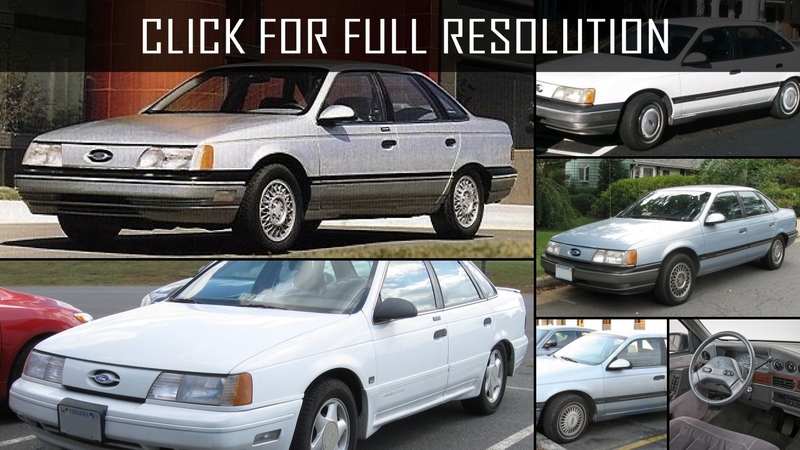 Japanese cars were superior in quality and did not leave any chance to Ford Taurus in the automotive market. 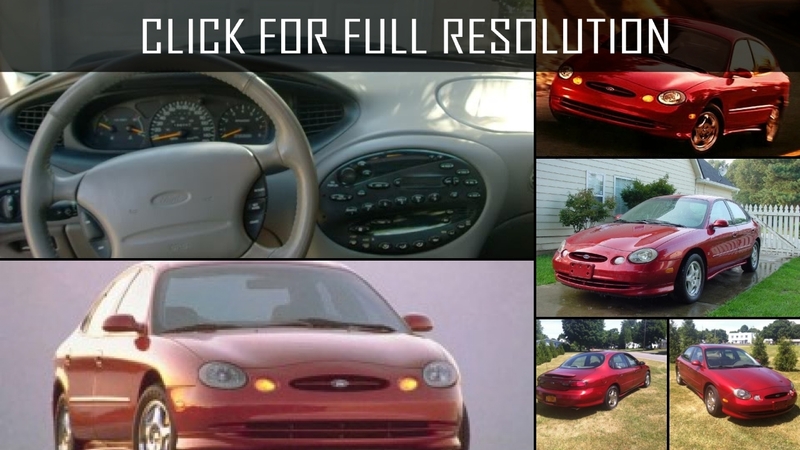 The company did not wait long to despond about the failure of Ford Taurus and it was decided to begin the production of following generation of the series which was debuted in 2007. 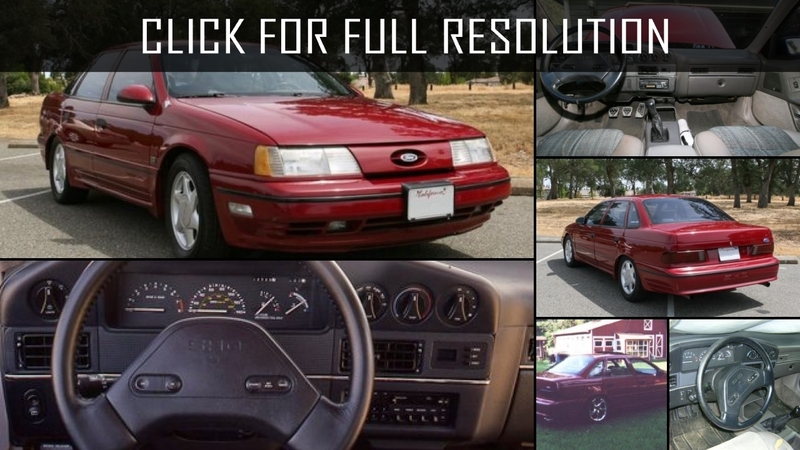 A year later, Ford Taurus V on the basis of Ford Five Hundred has released whose power unit was 263-horsepower, 3.5 liters, V6 Duratec engine. 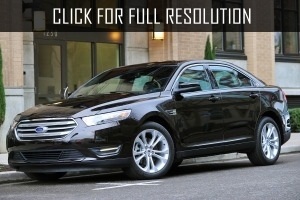 The car was offered in front and rear-wheel drive versions. 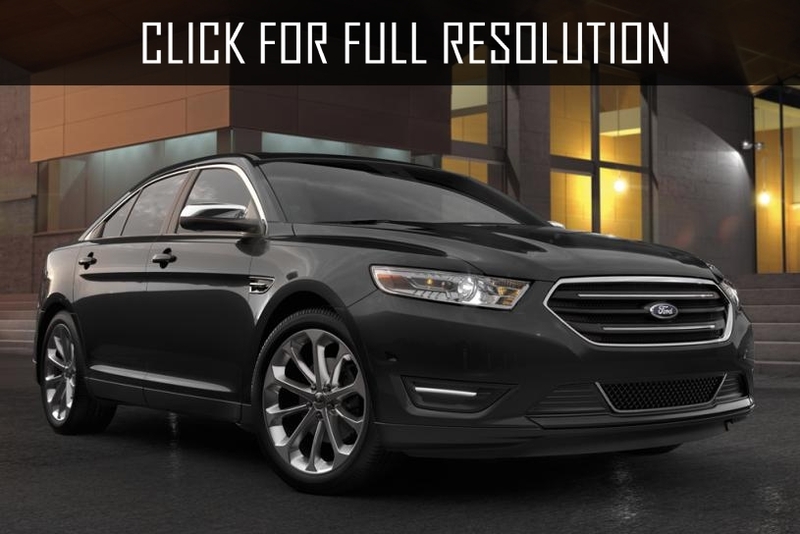 The exterior look of the novelty was changed considerably with massive chrome grille installed on the front part. 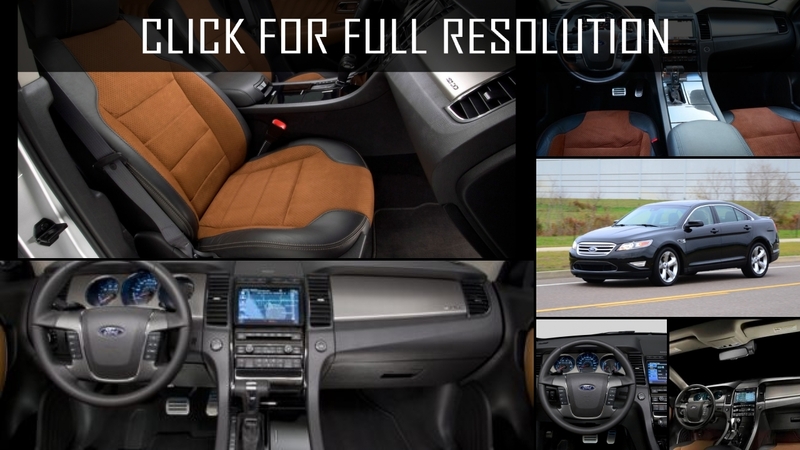 The advantages of the new model from previous versions were more spacious and comfortable saloon with seats equipped with high-quality upholstery finishing that makes the car in the category of business class. 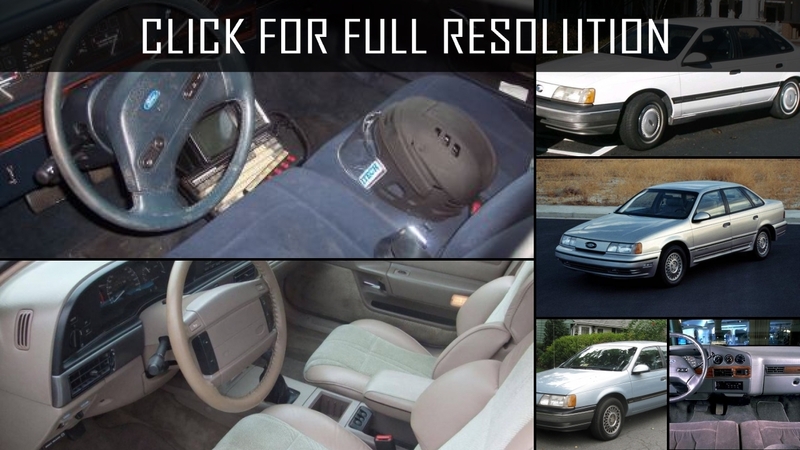 The most basic complete set had included cruise control, climate control, stereo, BC as well as power mirrors and glasses. 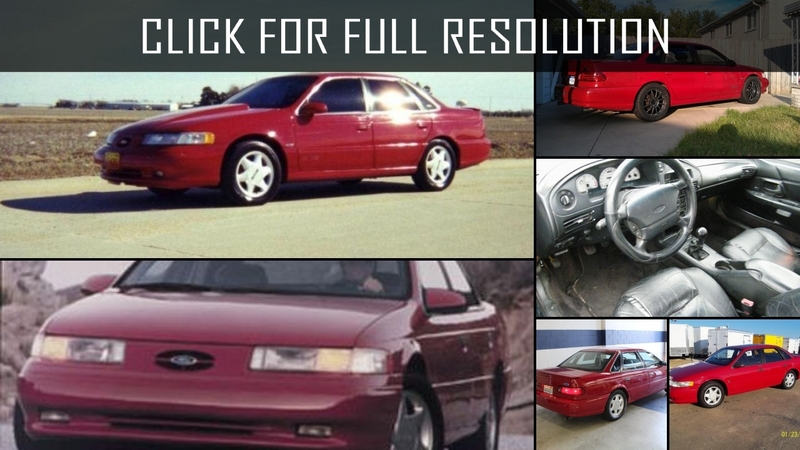 But even, with all of these advantages, Ford Taurus V was not able to survive in the competition with Japanese models. 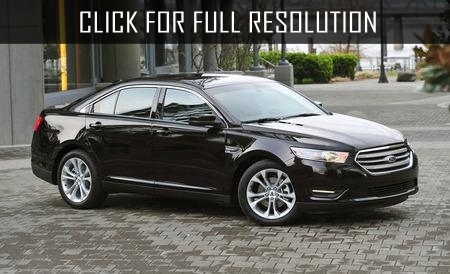 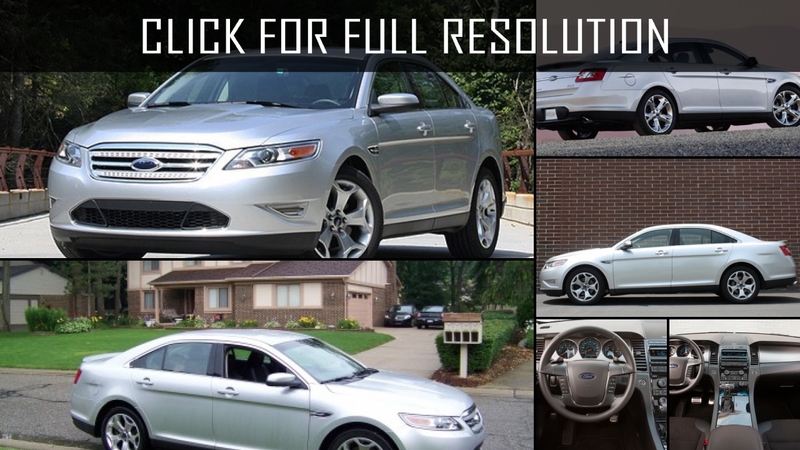 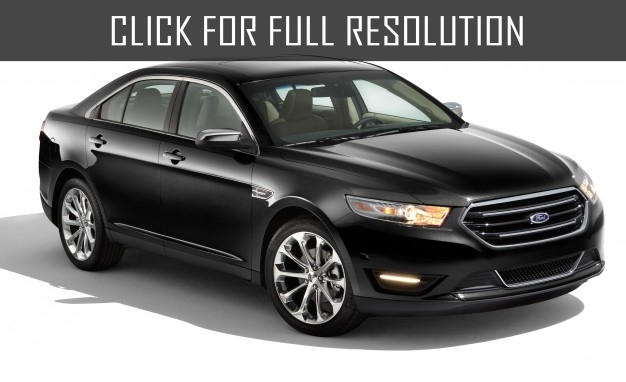 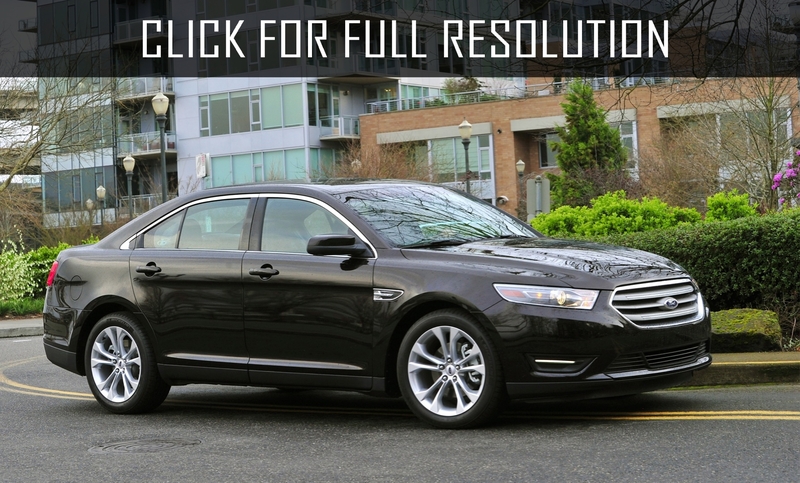 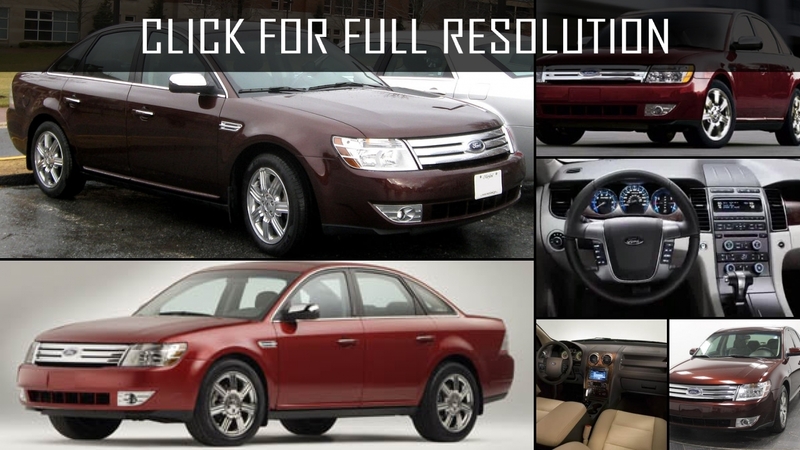 Therefore, the release of the fifth generation of Ford Taurus was terminated in 2009. 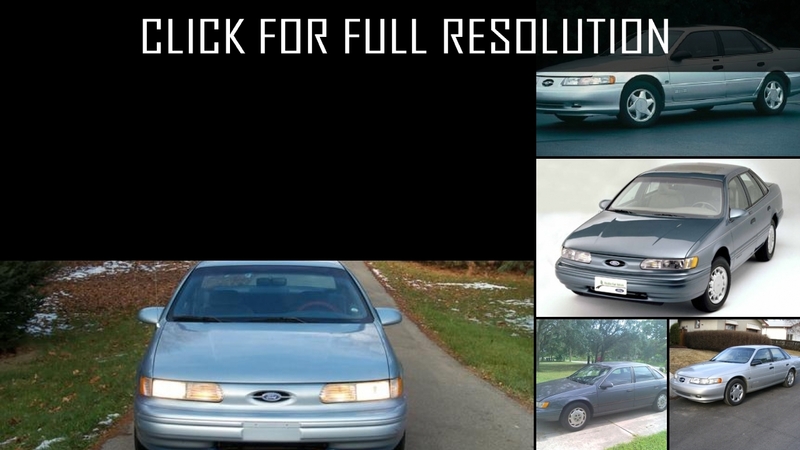 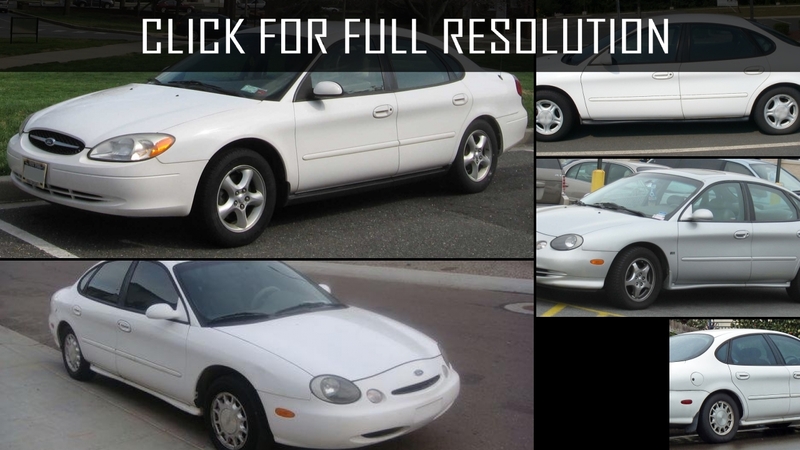 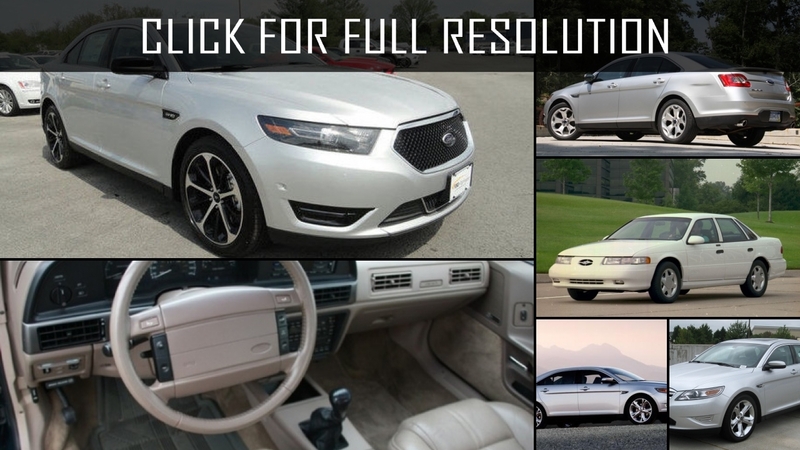 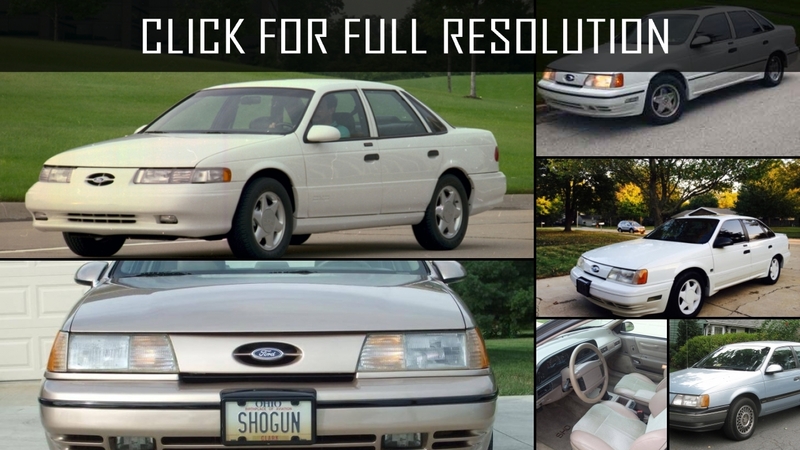 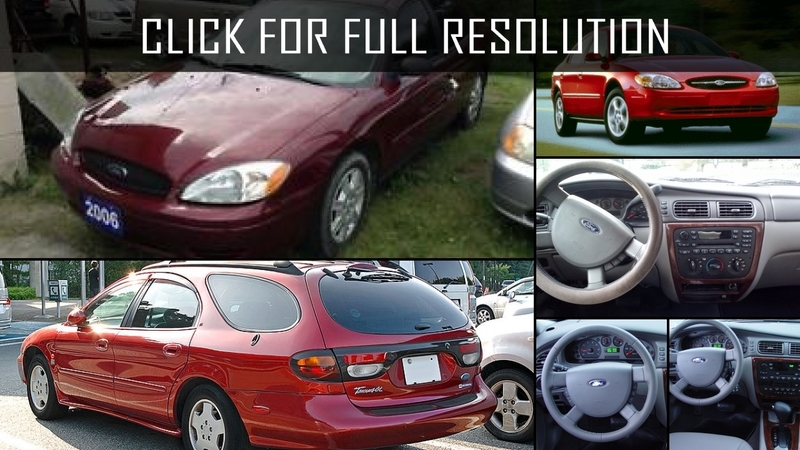 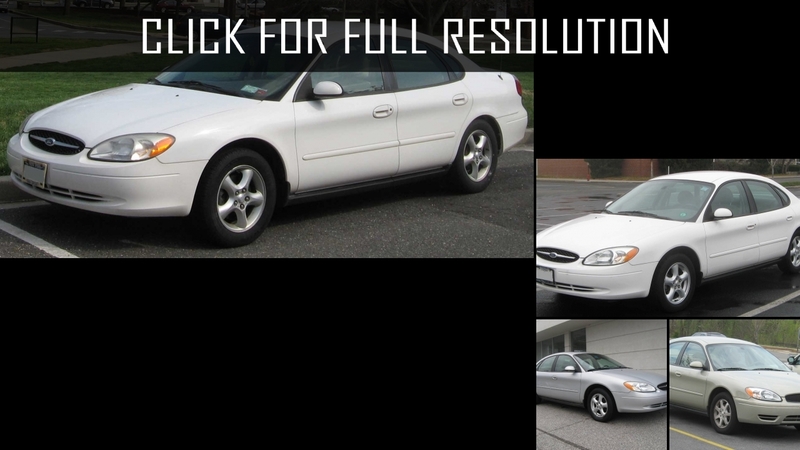 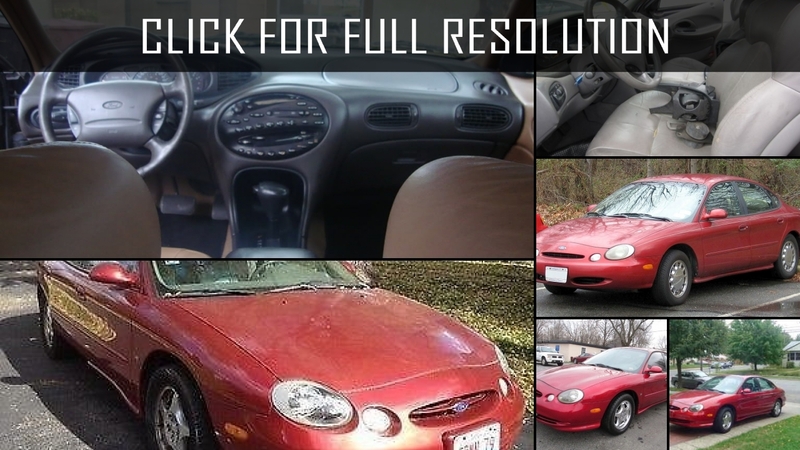 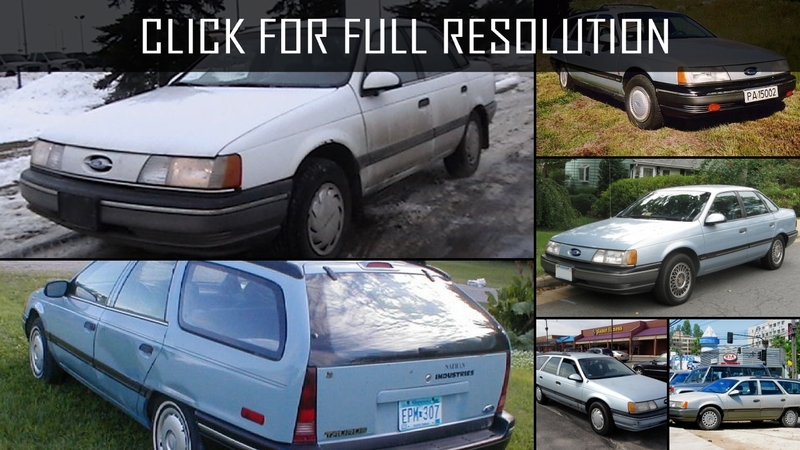 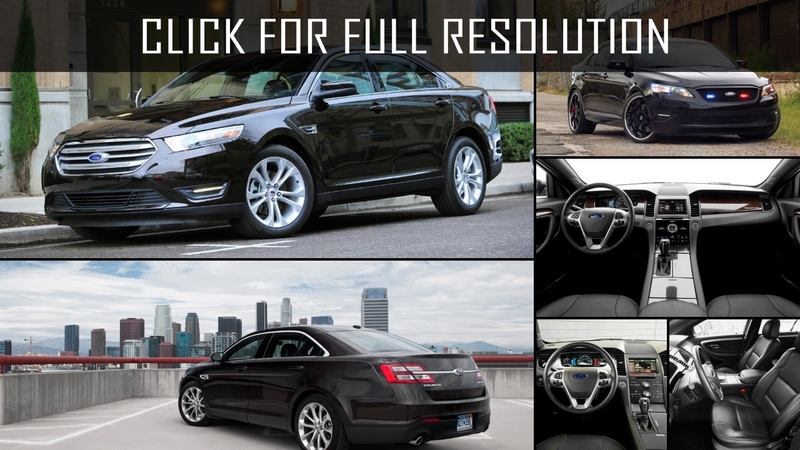 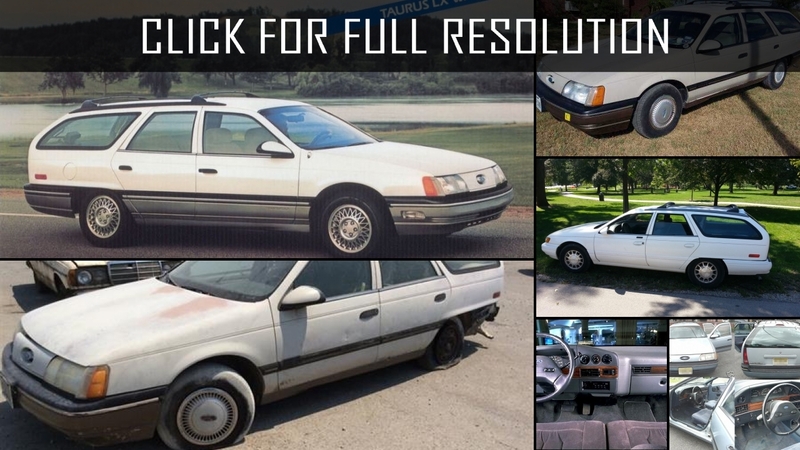 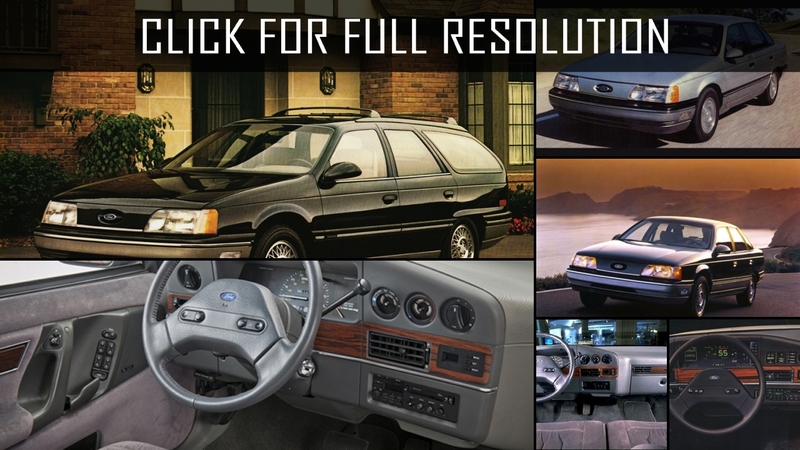 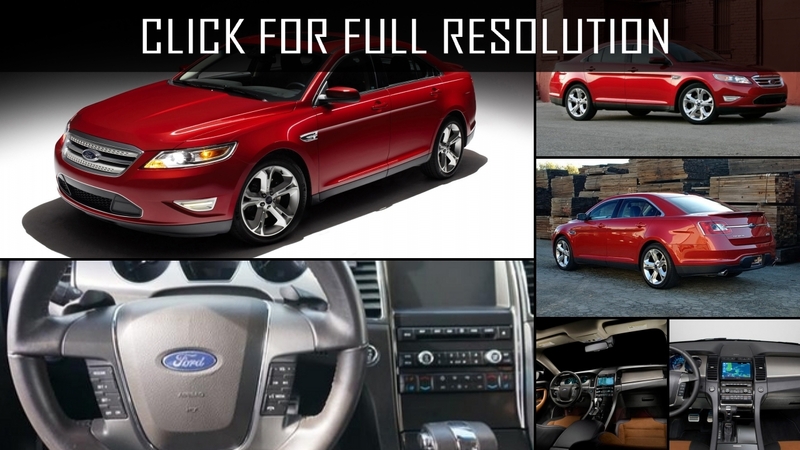 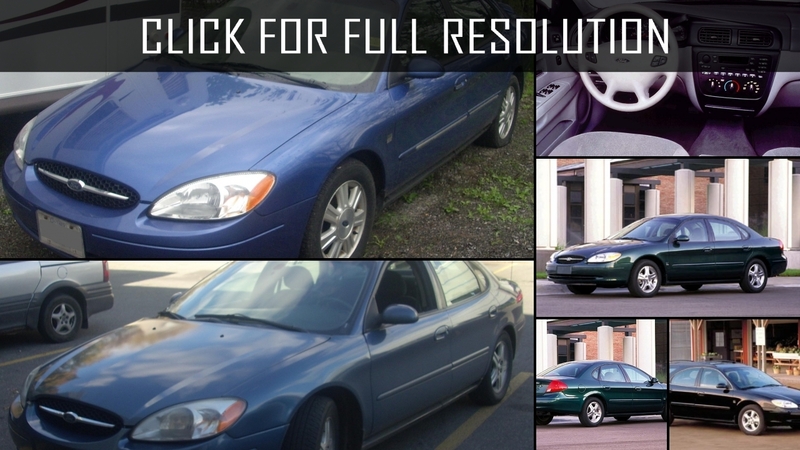 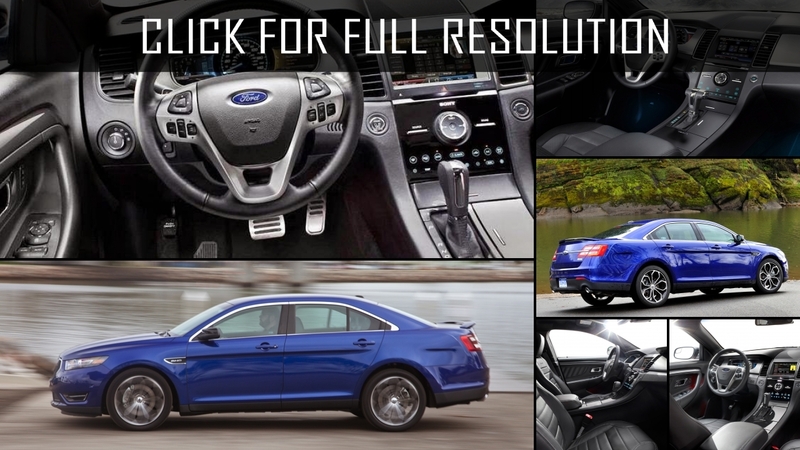 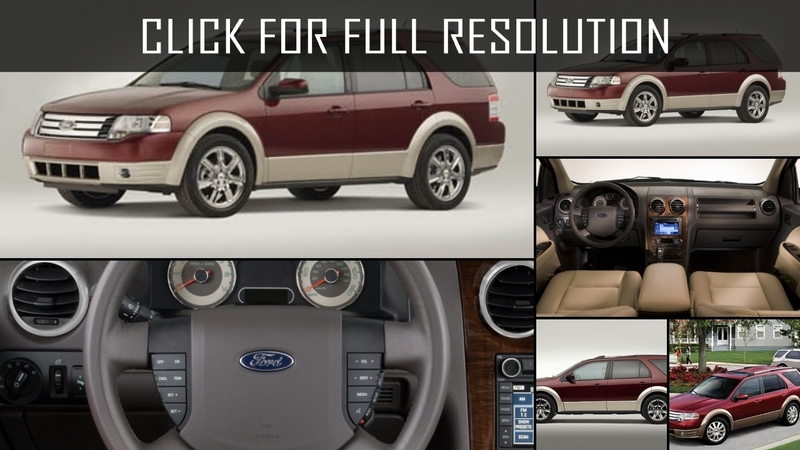 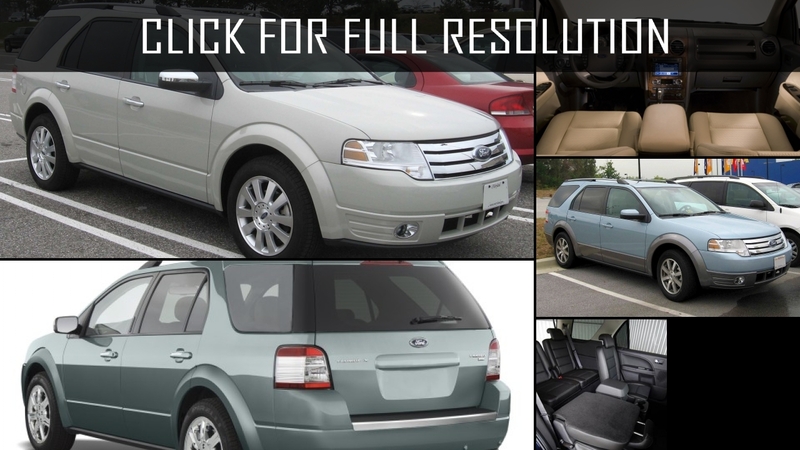 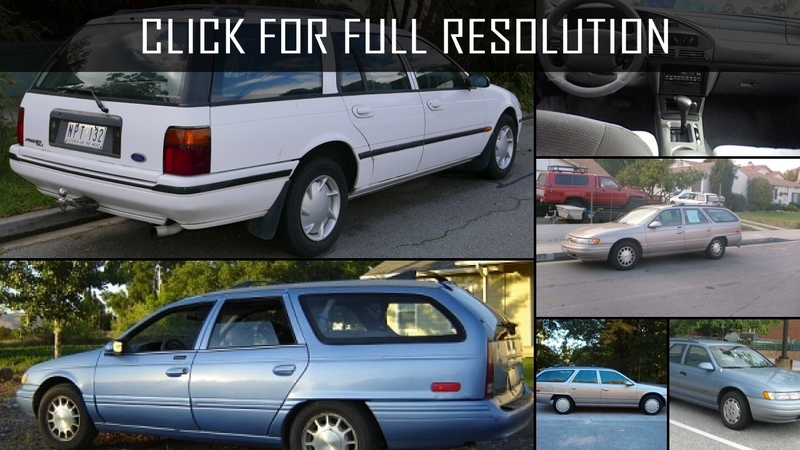 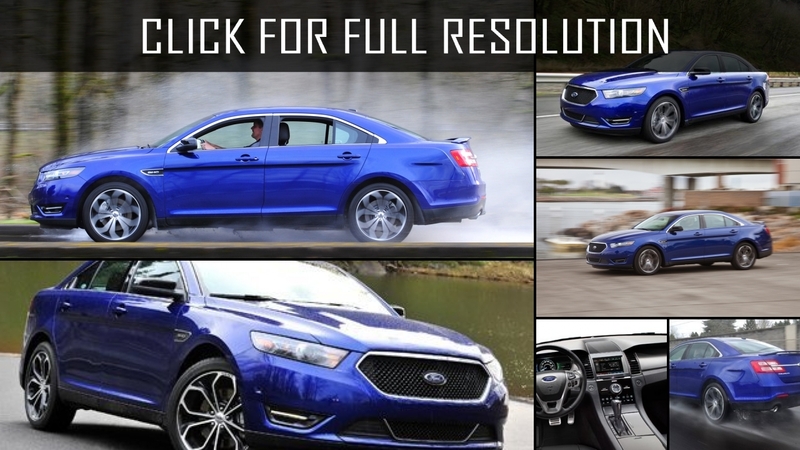 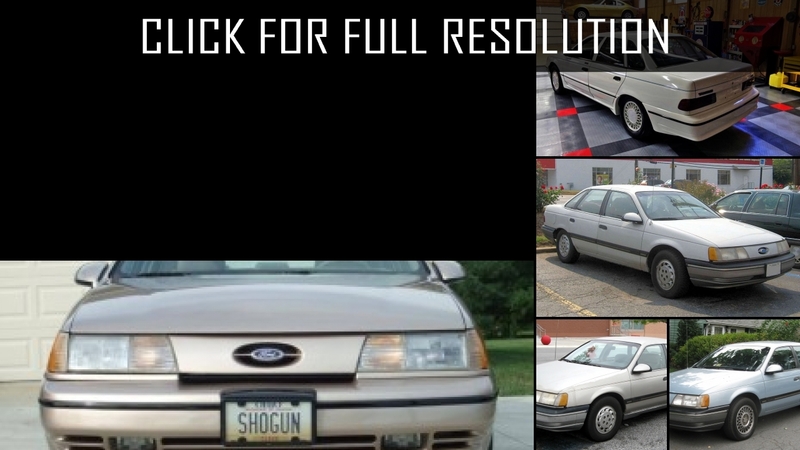 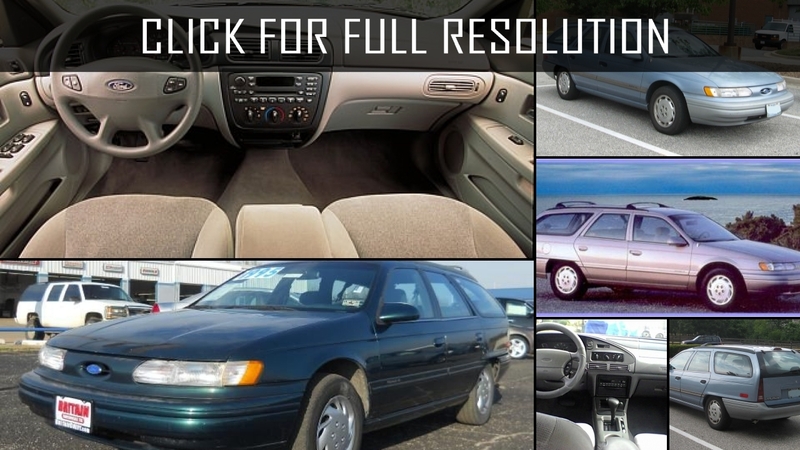 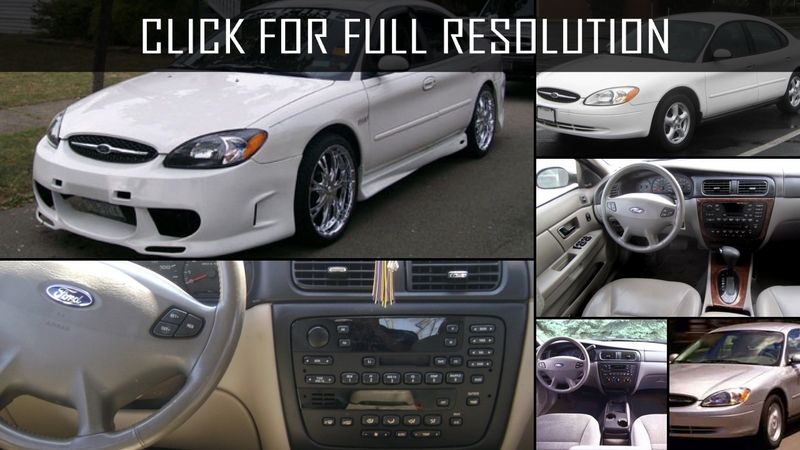 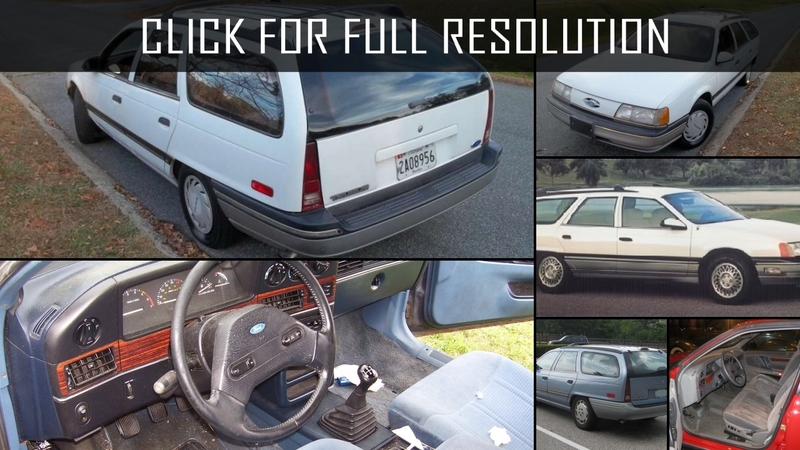 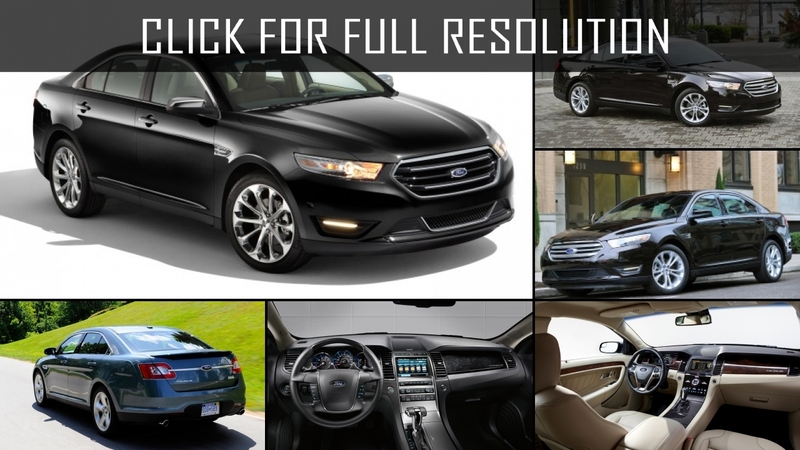 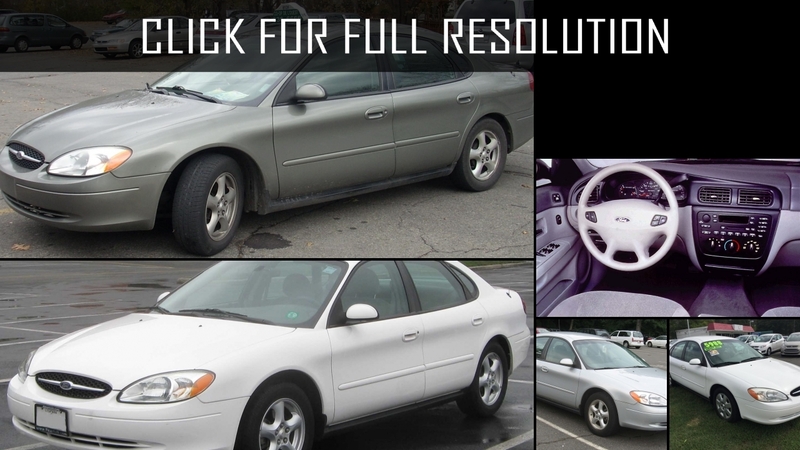 Below the list of all 92 modifications of Ford Taurus and production years from 1980 to 2018. 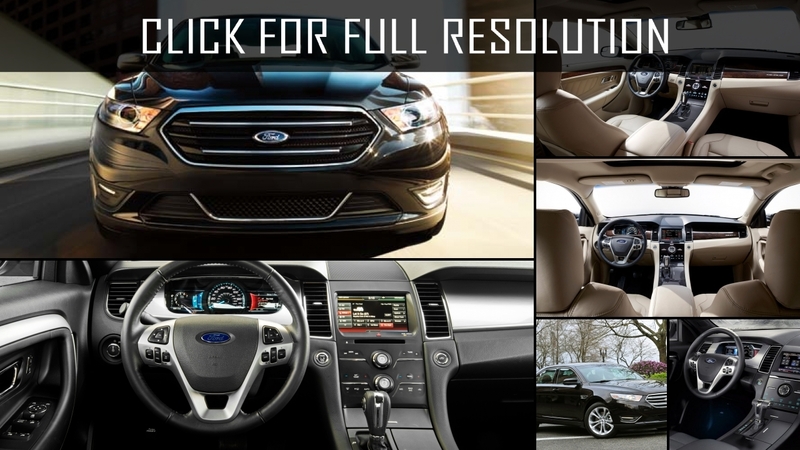 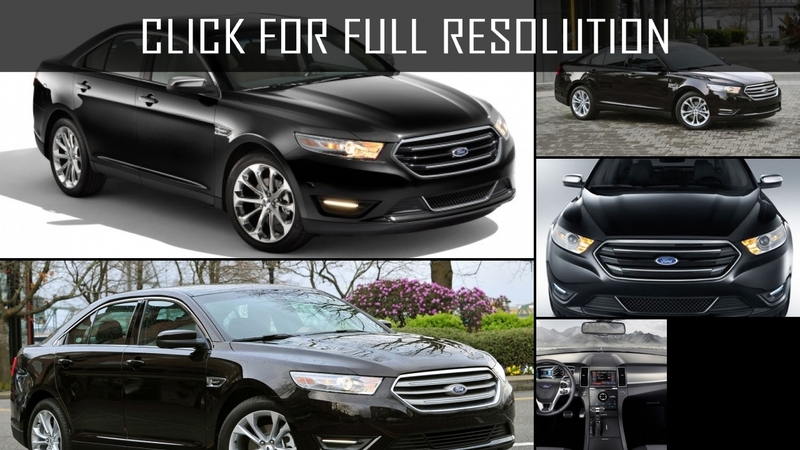 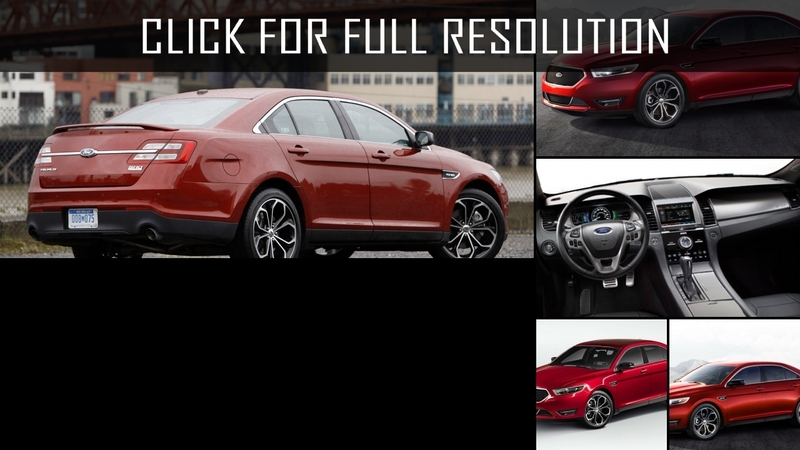 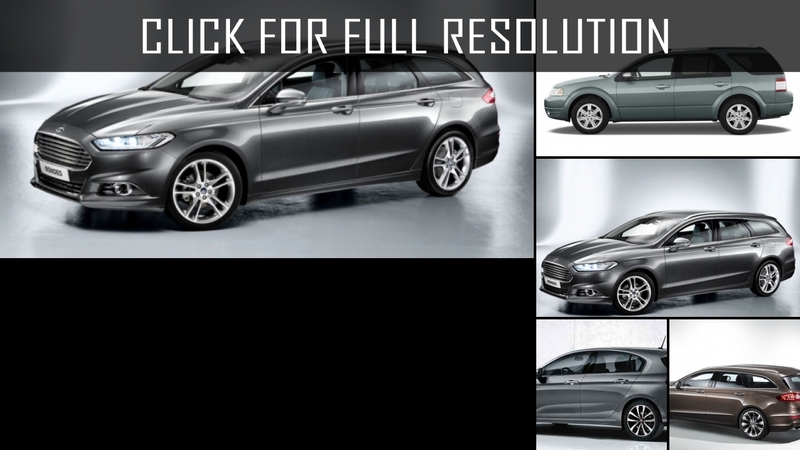 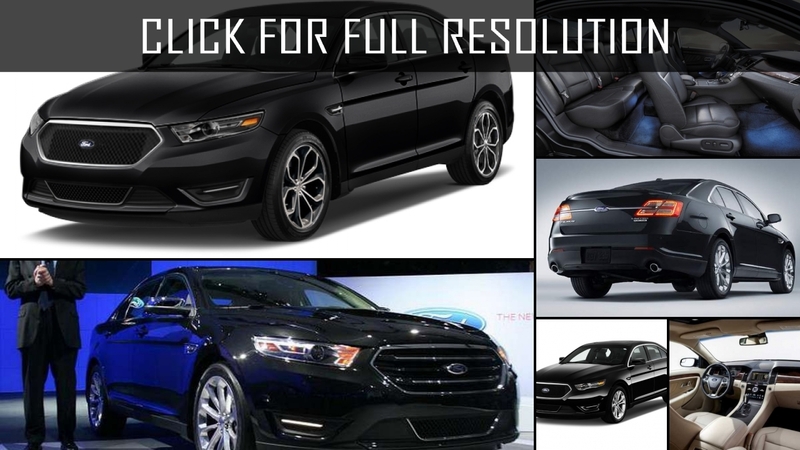 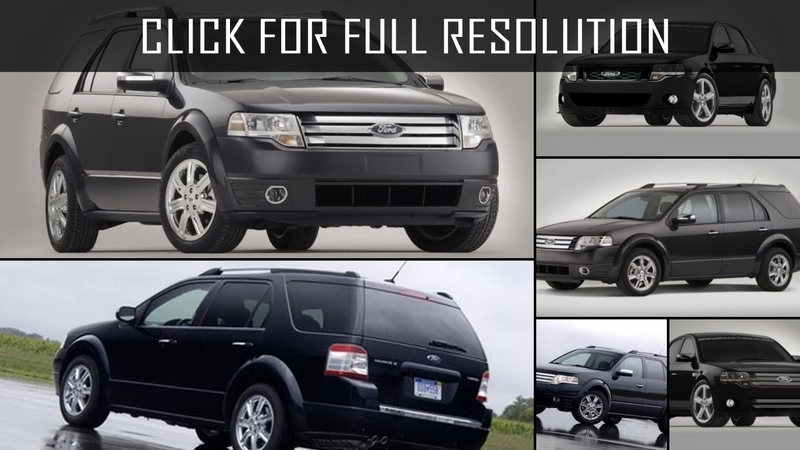 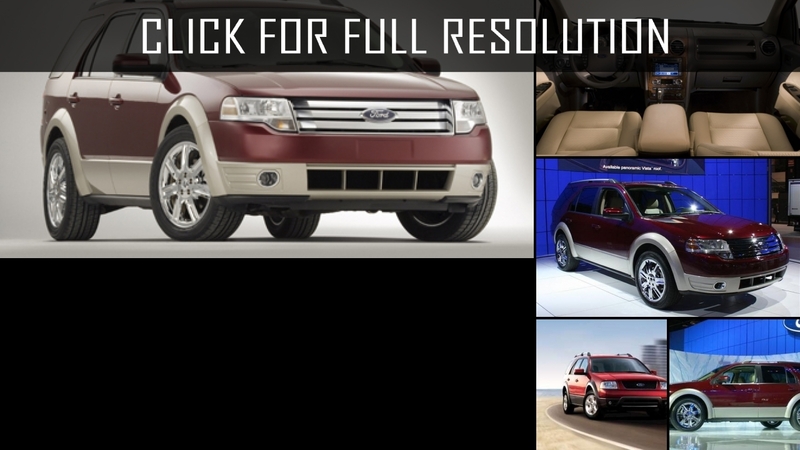 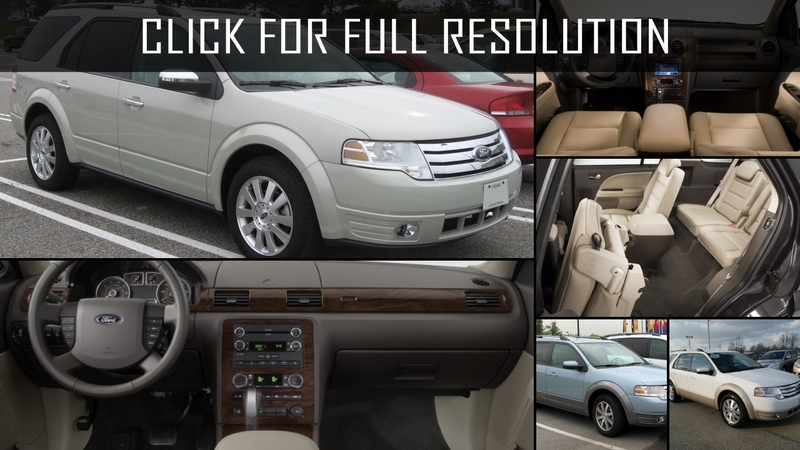 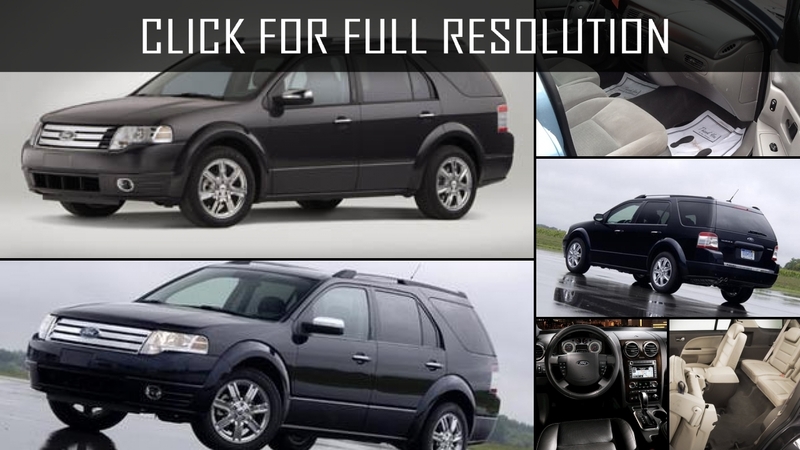 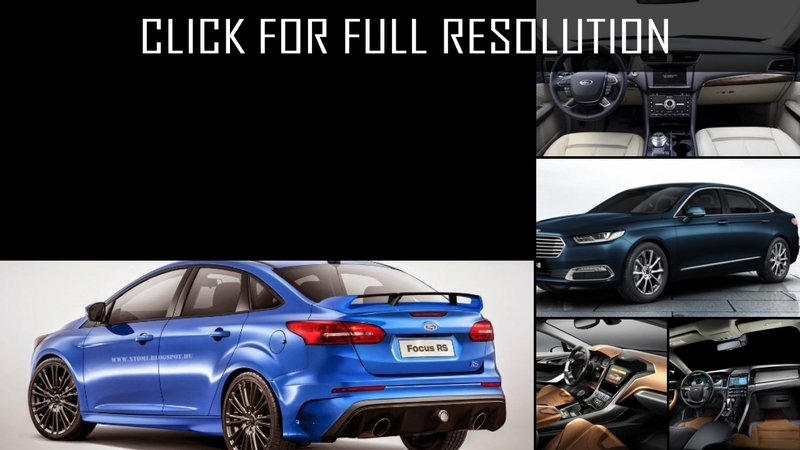 Discover and enjoy Ford Taurus image collections, news, wallpapers, MSRP, ratings on this huge database of cars and bikes - Masbukti. 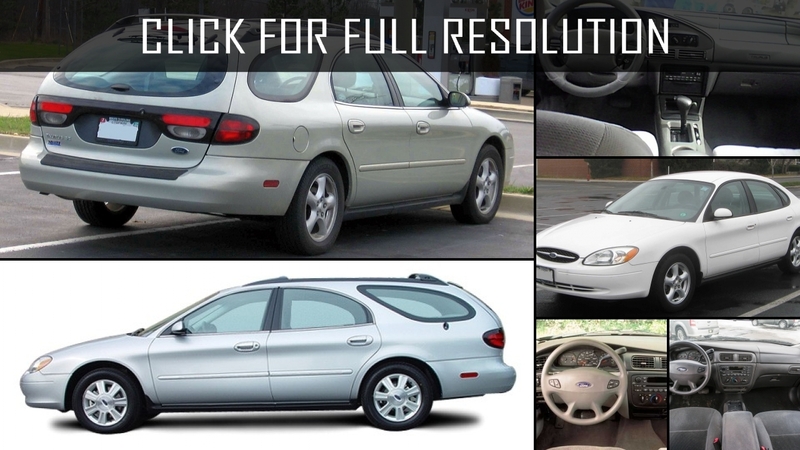 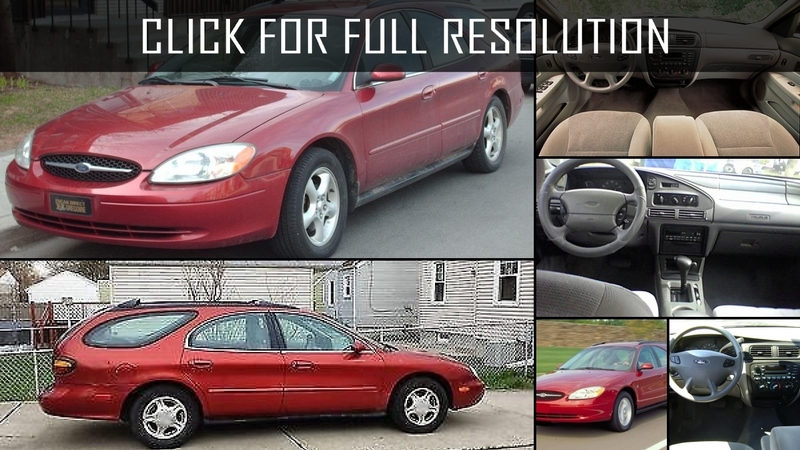 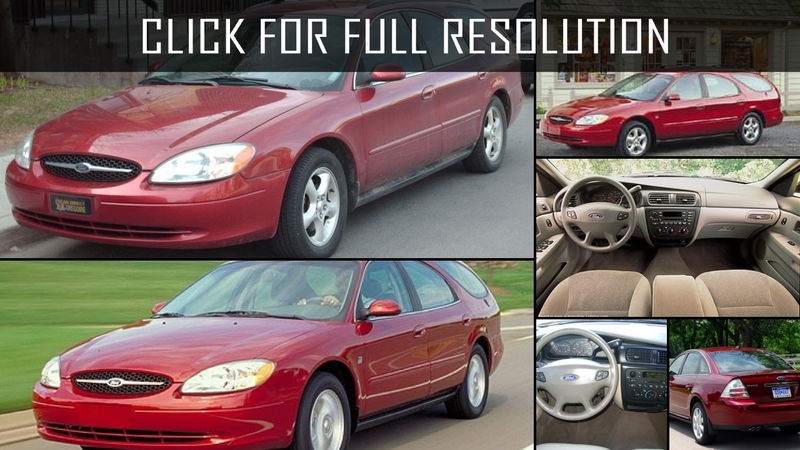 Average rating of all available versions of Ford Taurus is 3.8 out of 5.0.